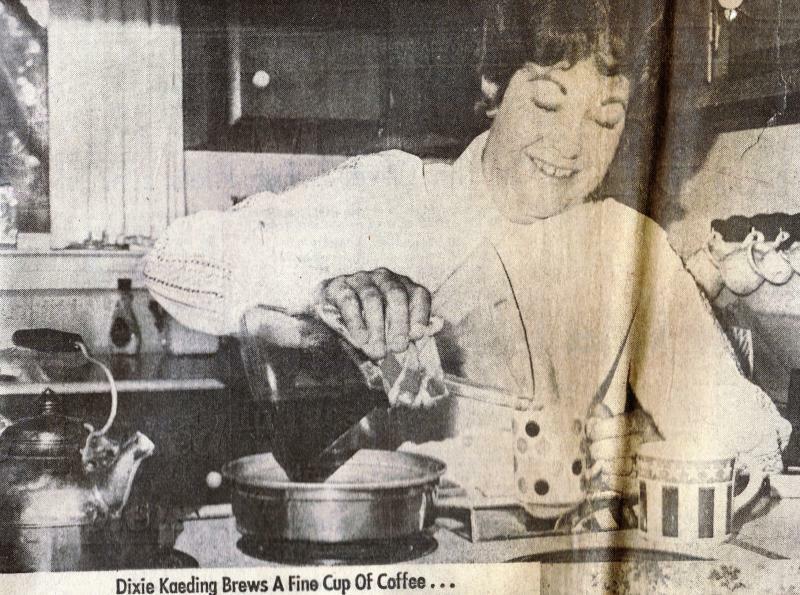 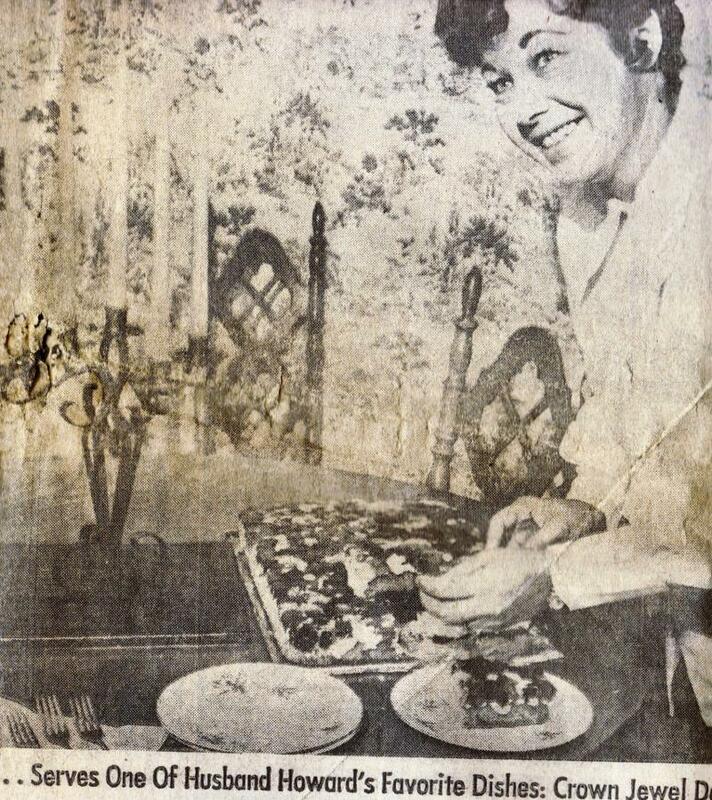 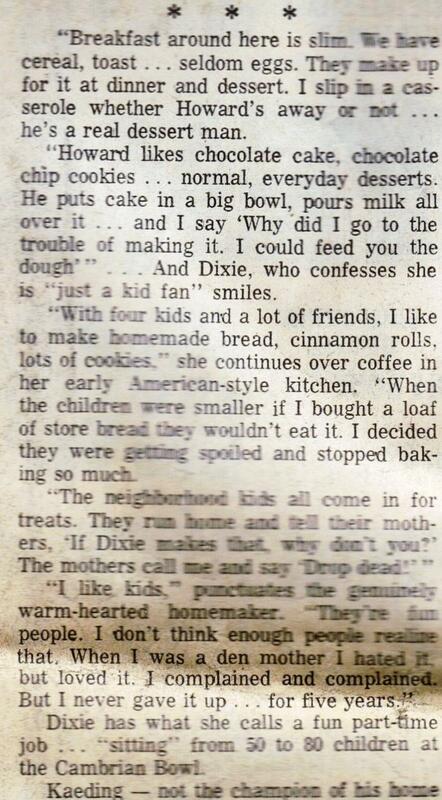 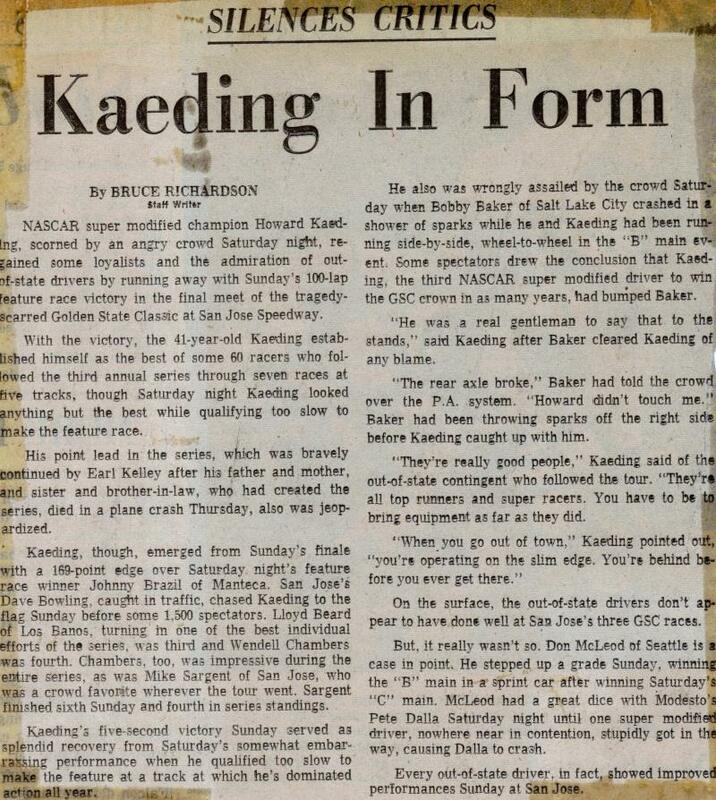 October 12, 1974. 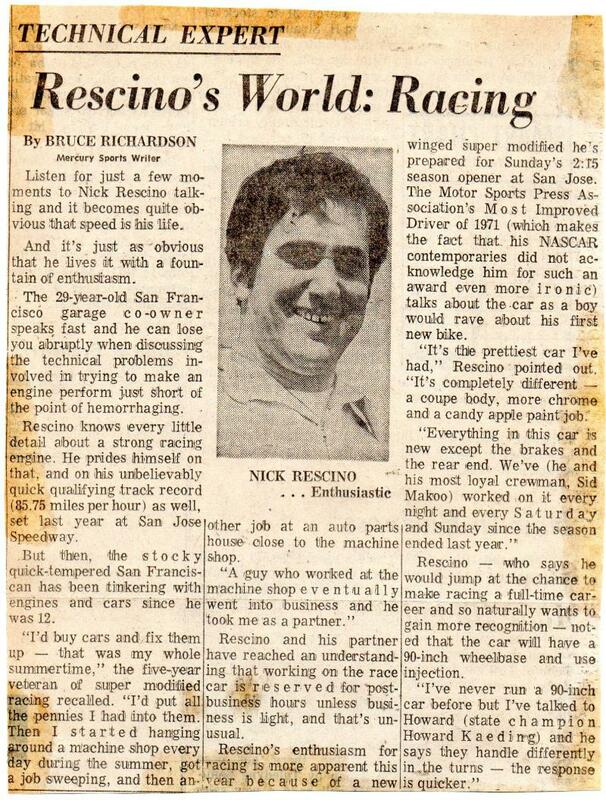 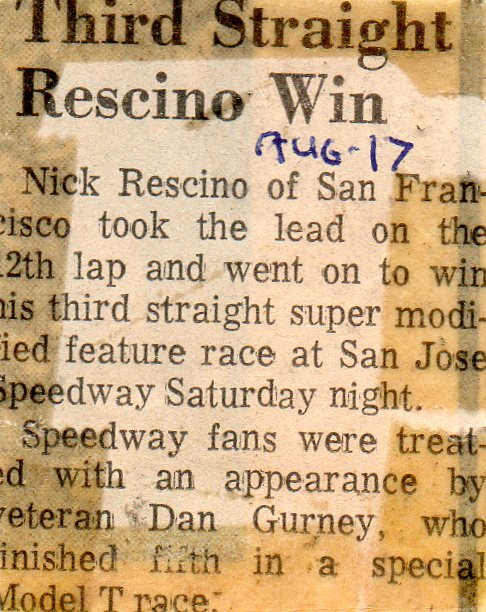 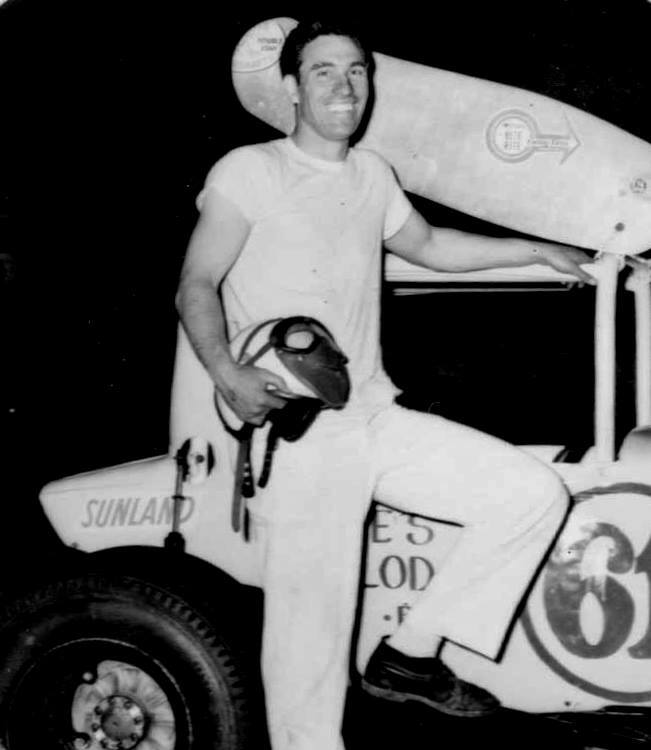 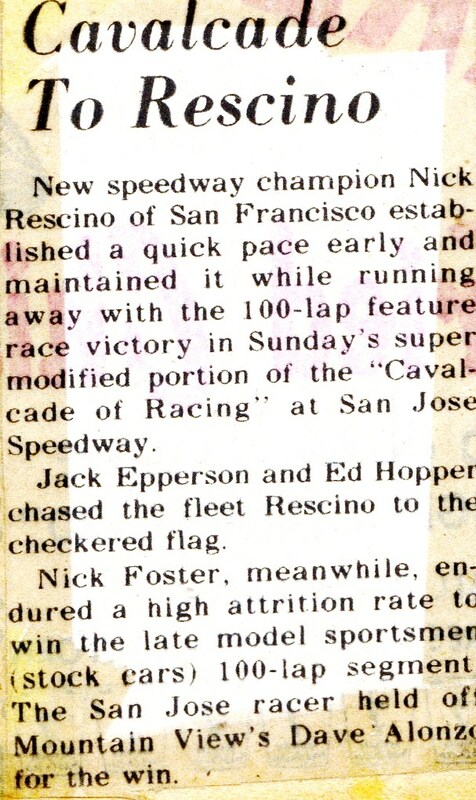 Nick takes the Ron Tomasello #1 super to the all time San Jose Speedway 1-lap record of 13.333. 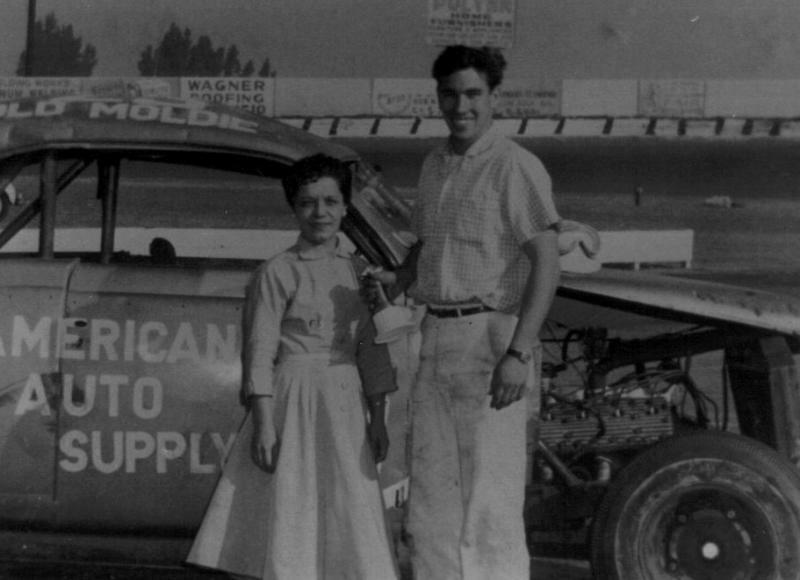 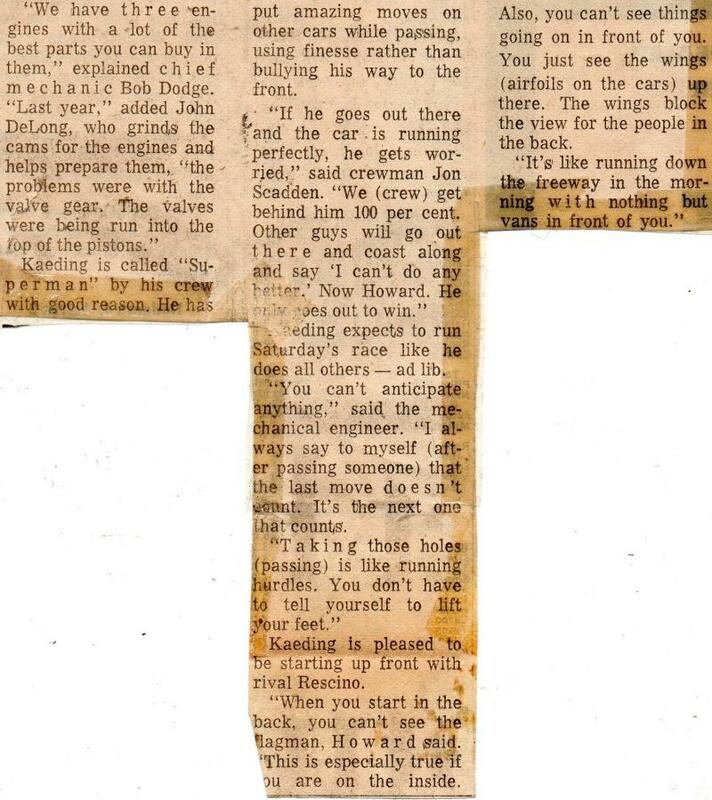 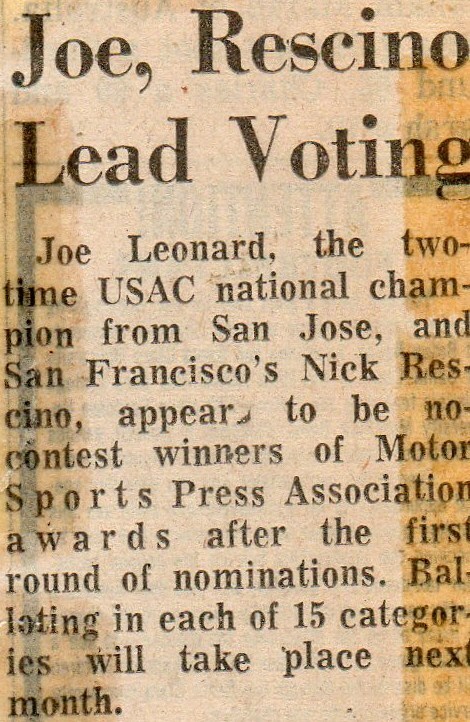 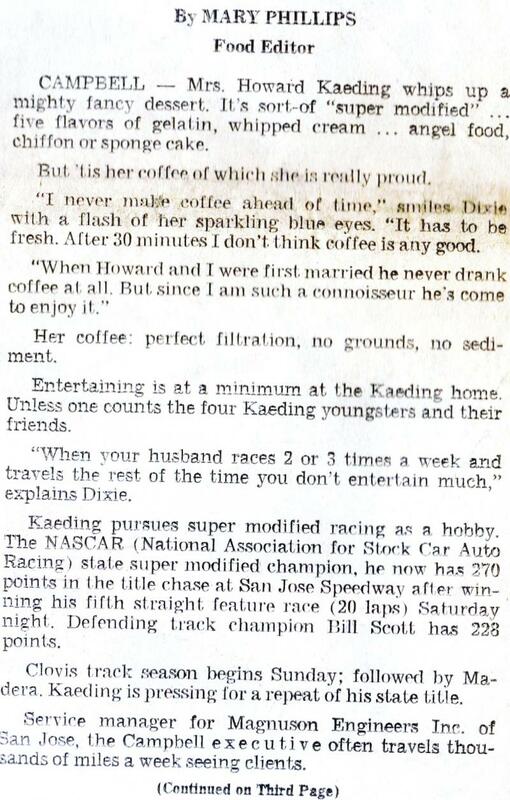 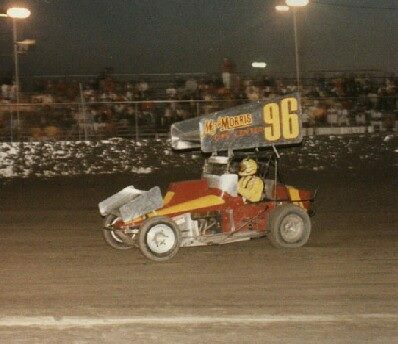 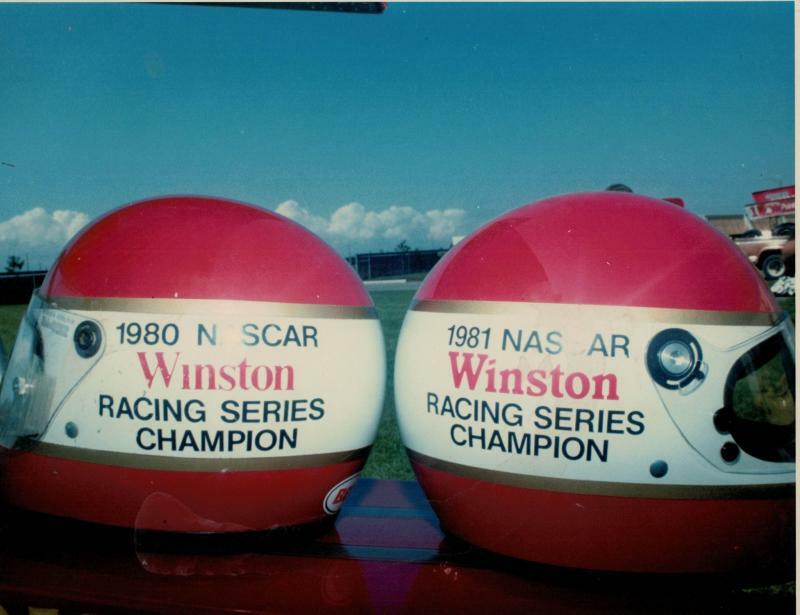 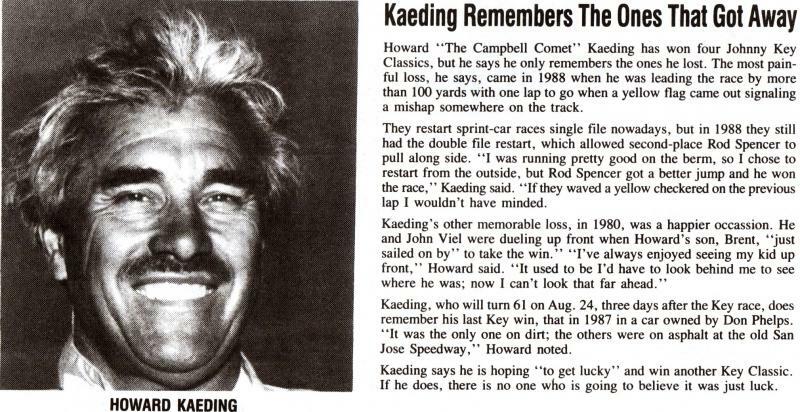 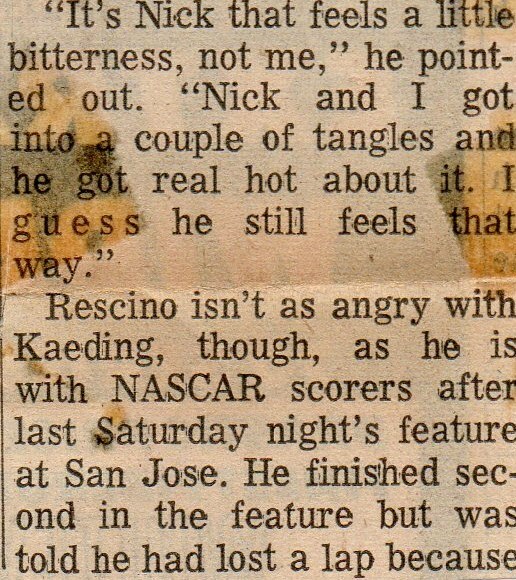 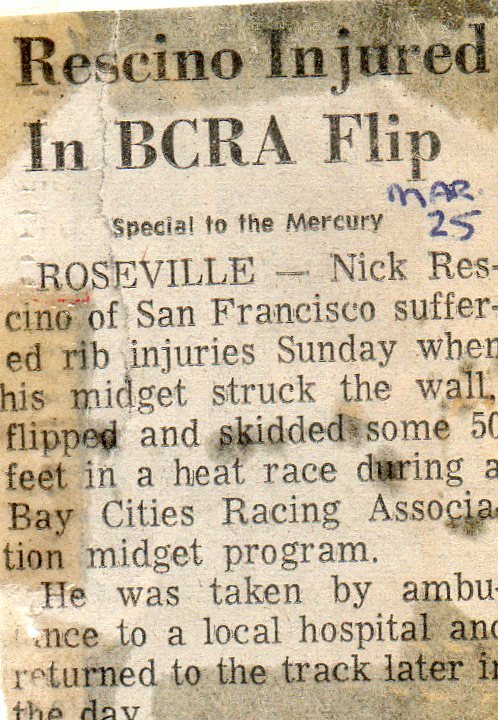 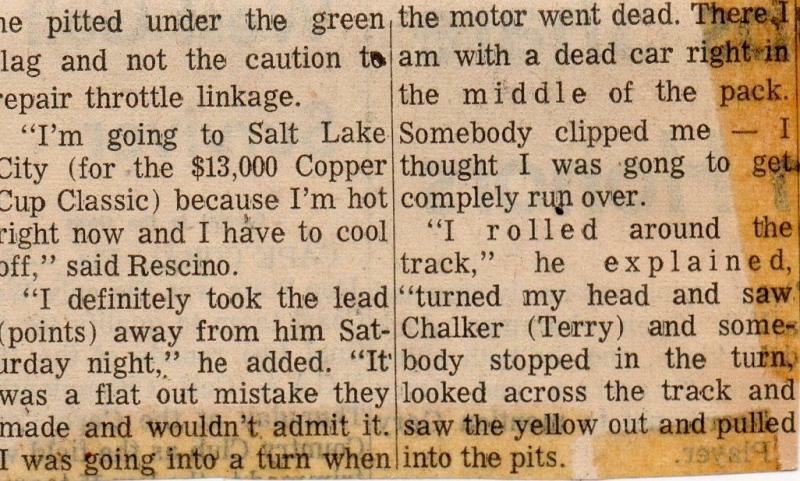 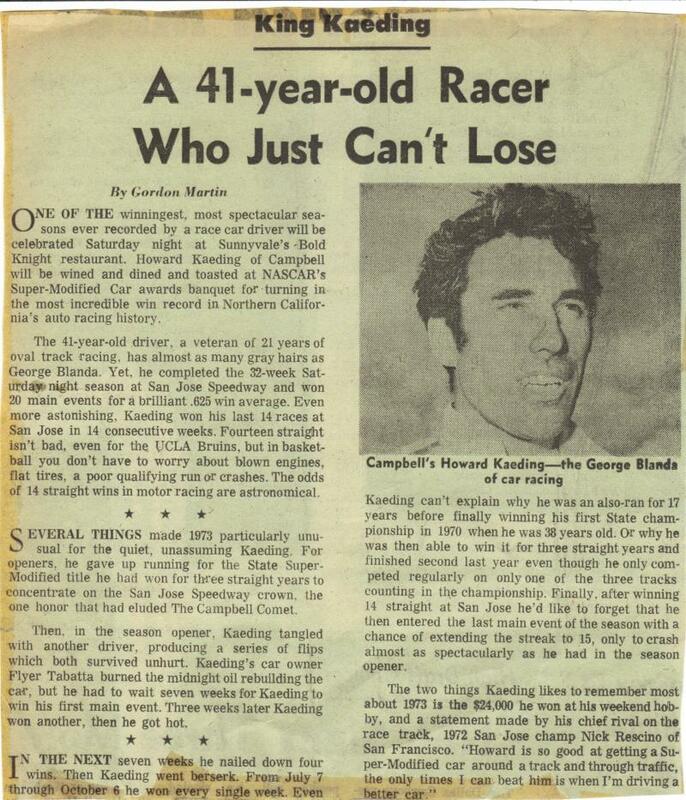 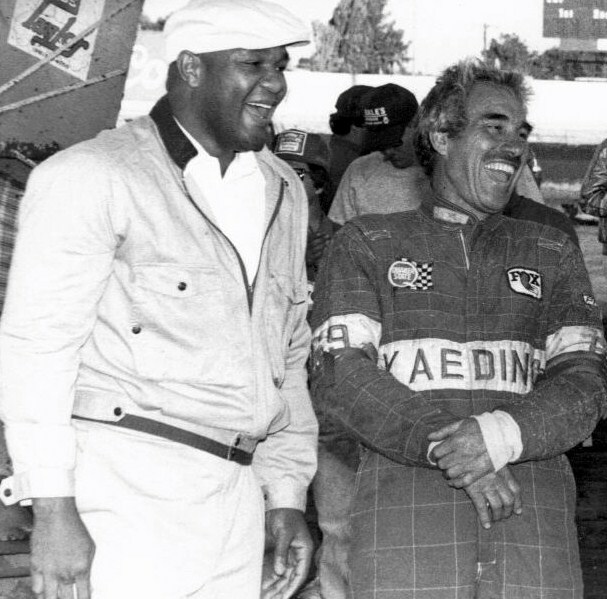 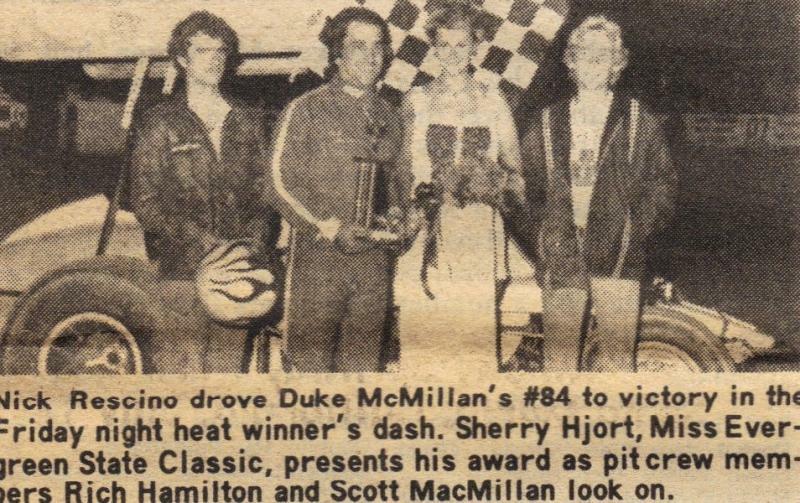 He won the feature race later that evening. 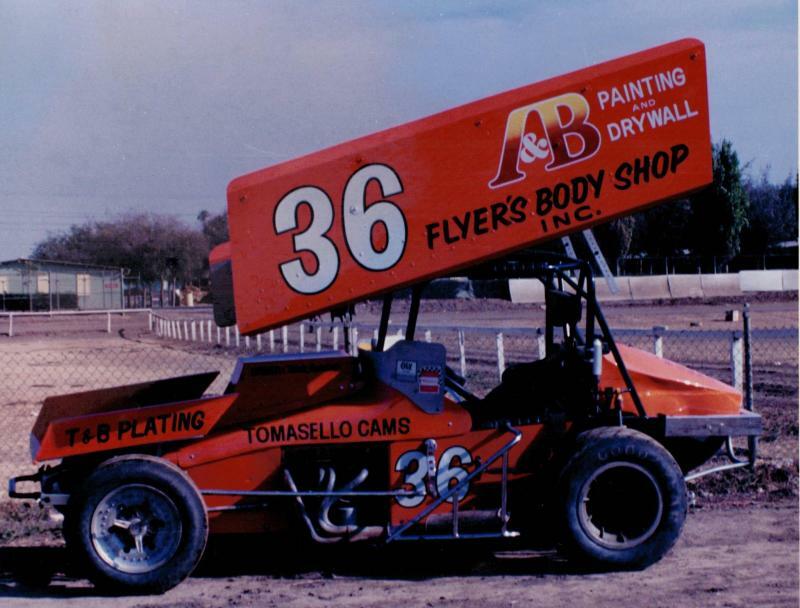 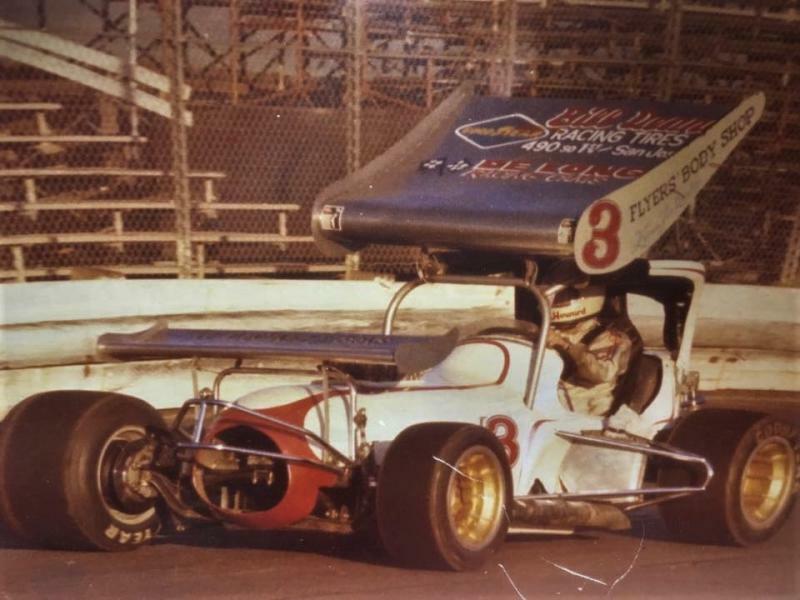 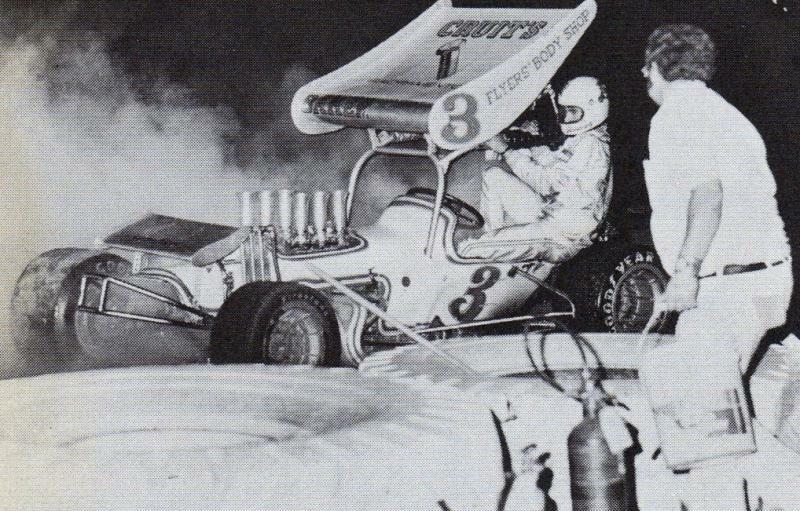 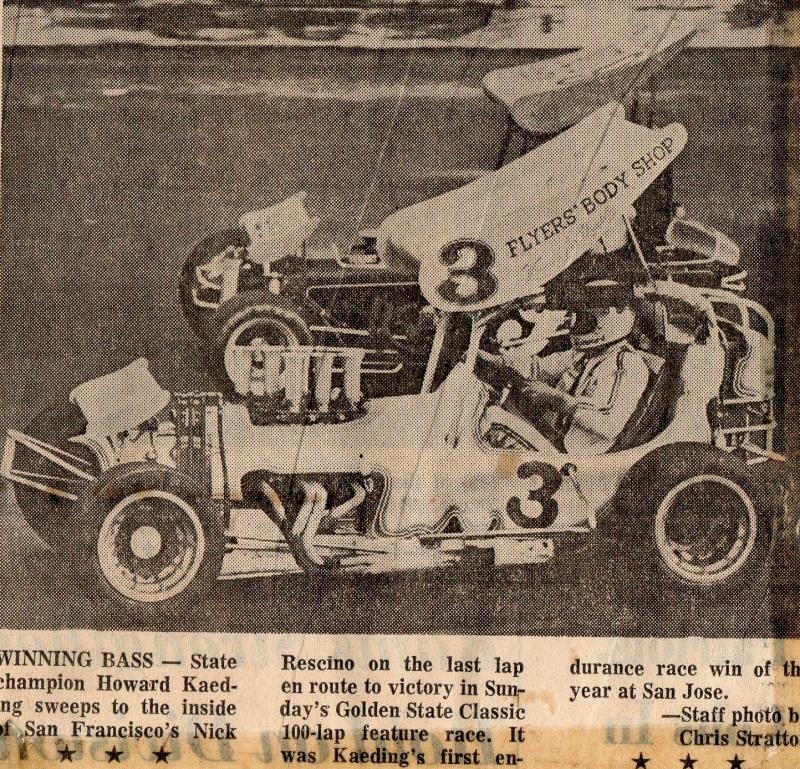 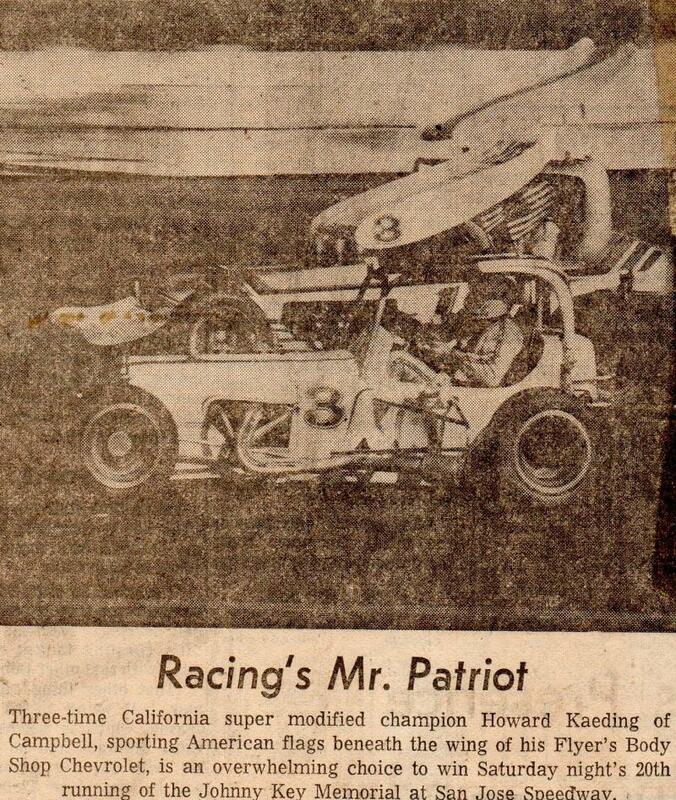 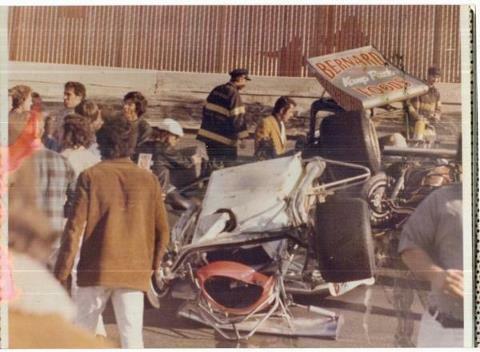 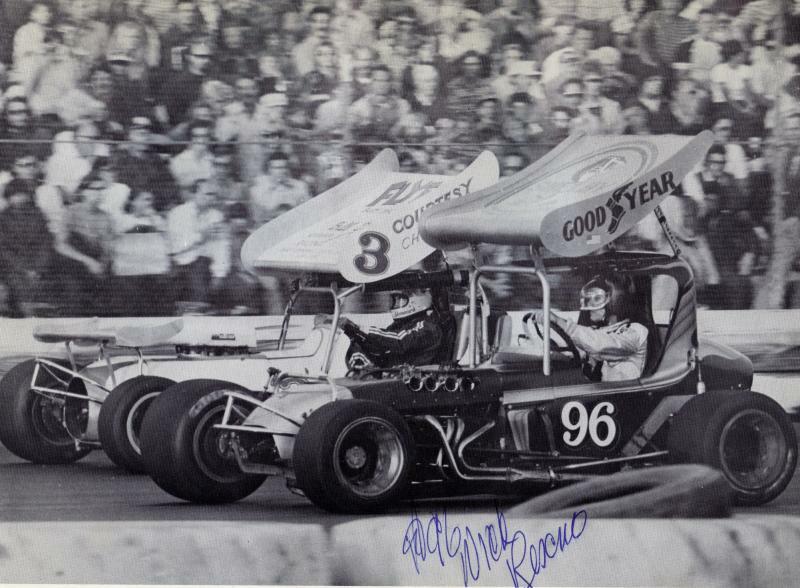 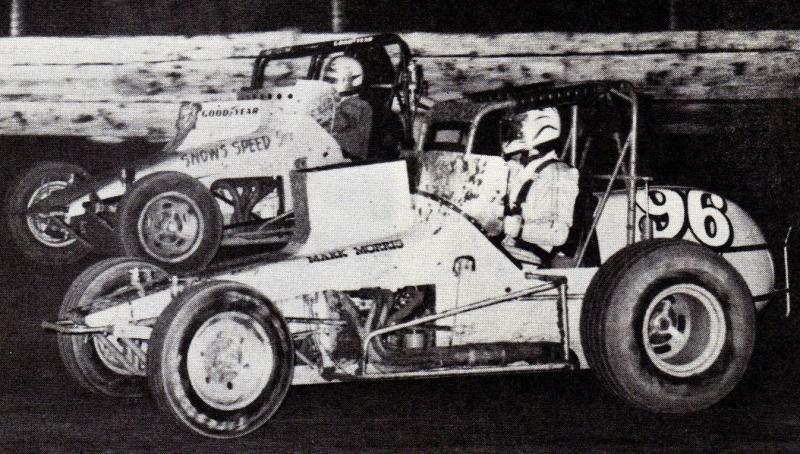 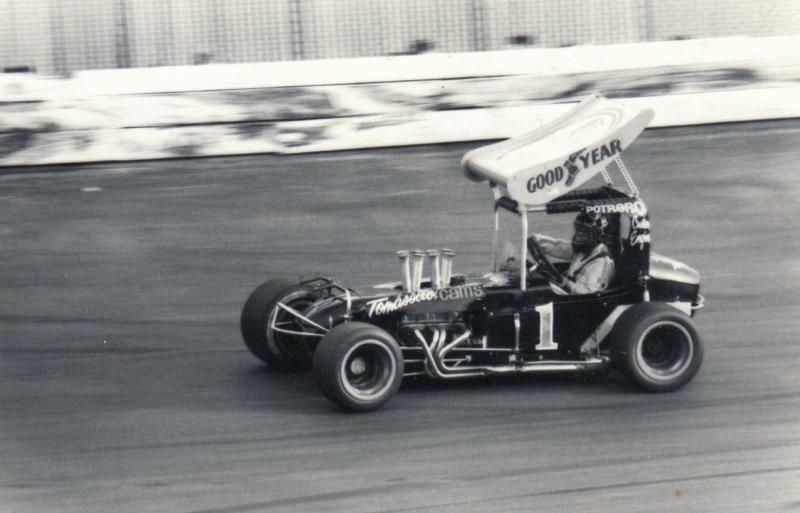 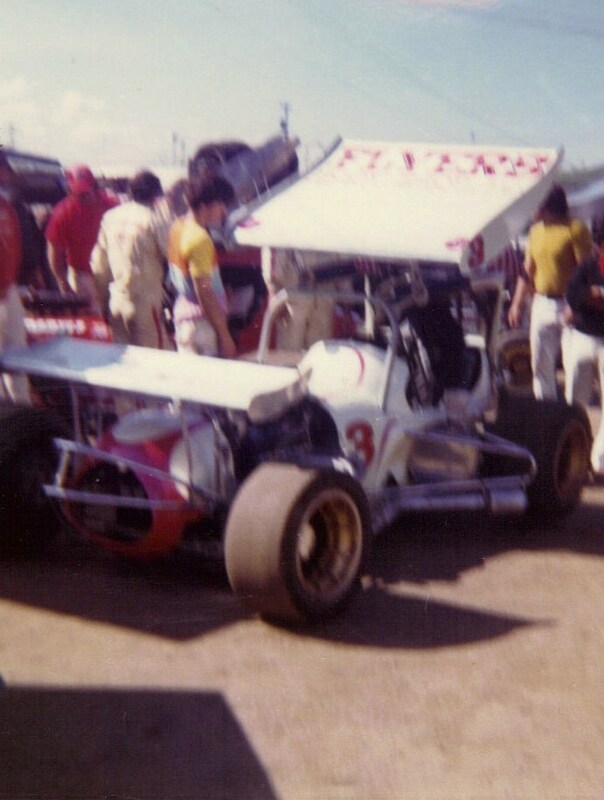 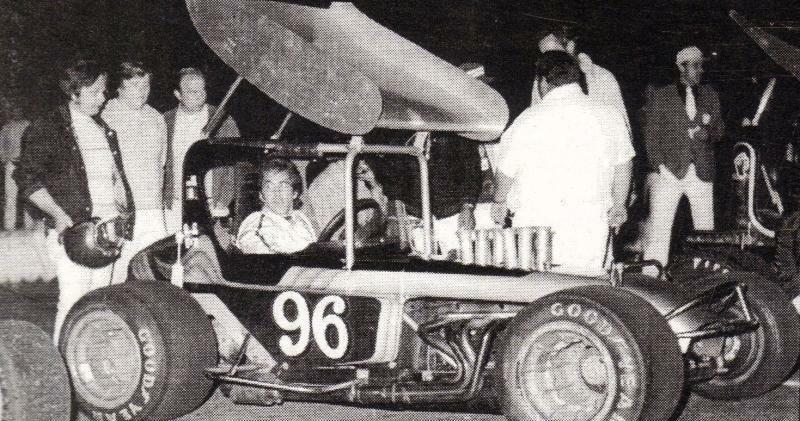 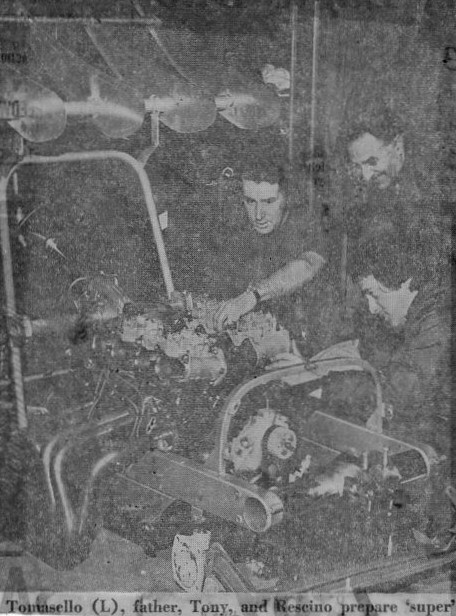 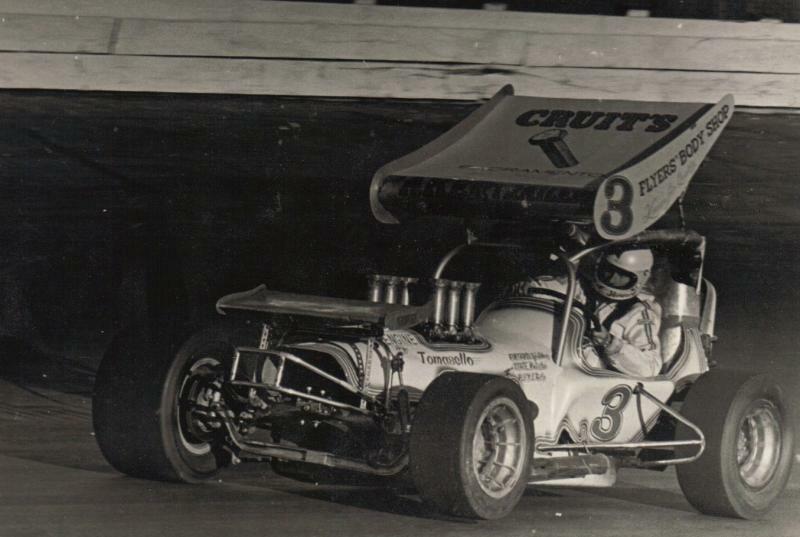 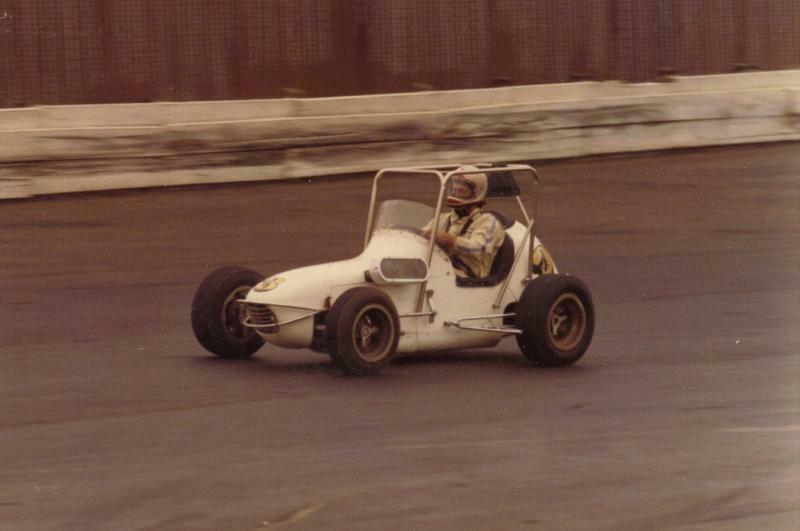 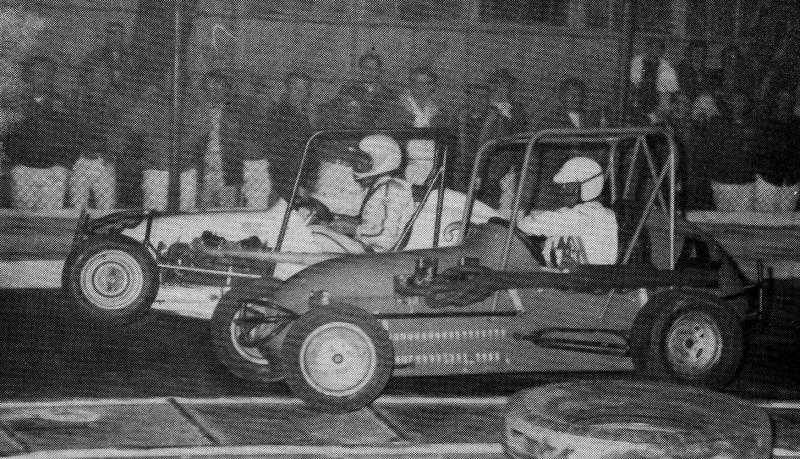 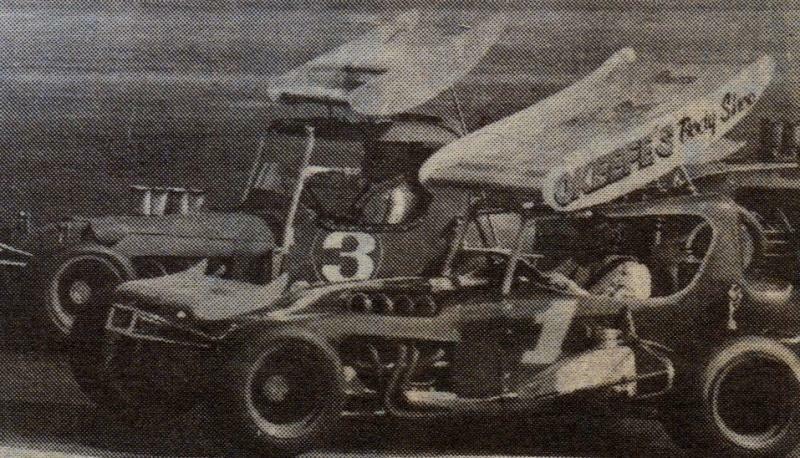 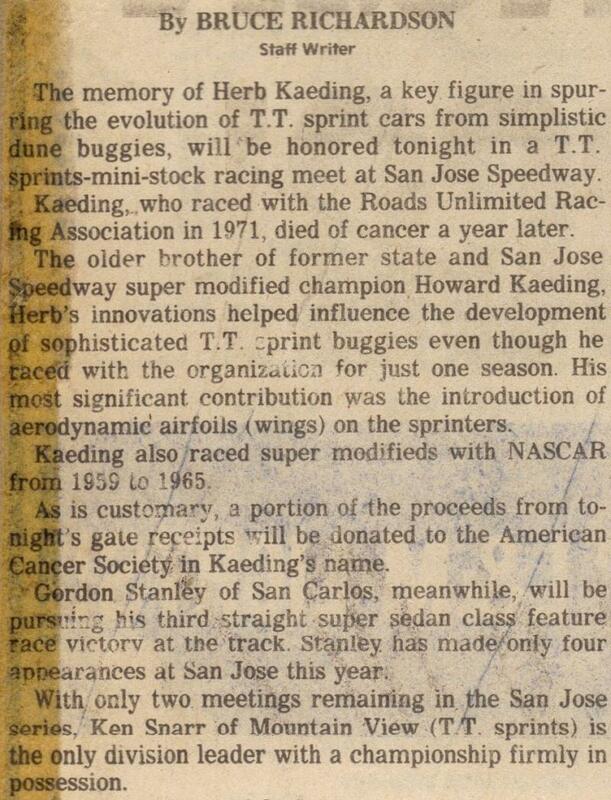 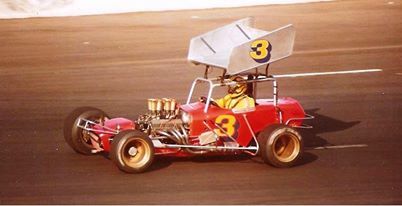 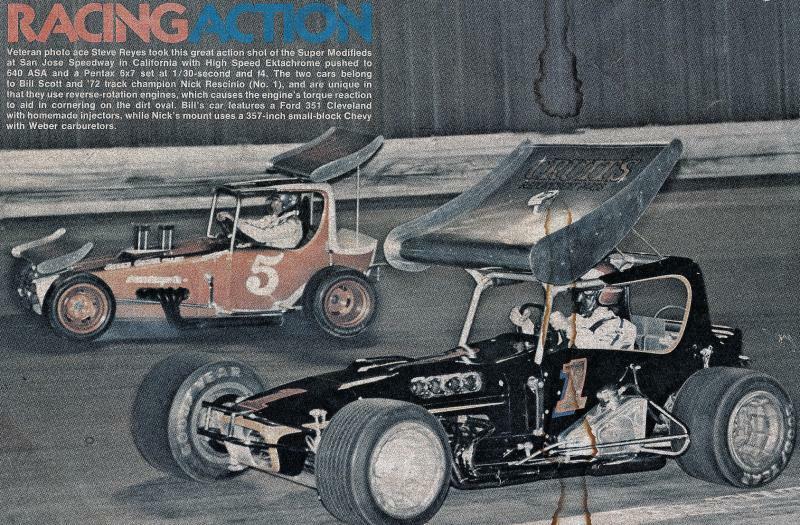 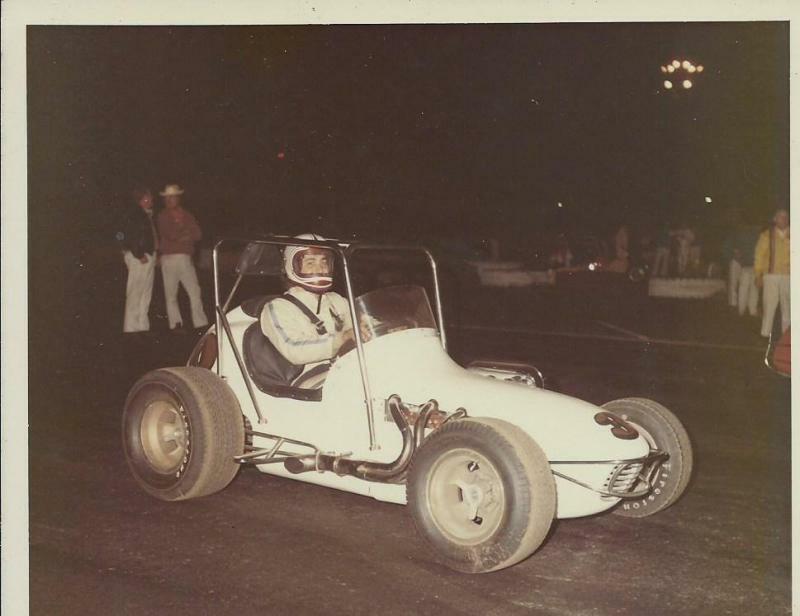 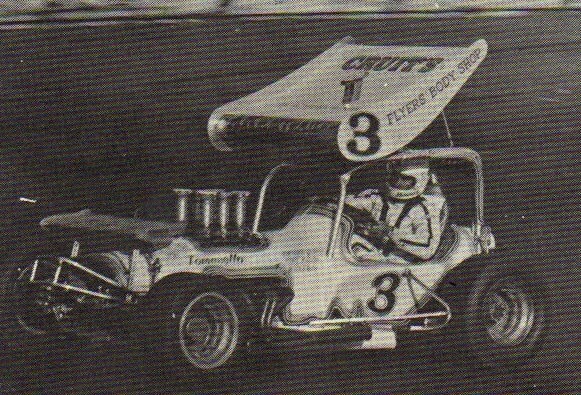 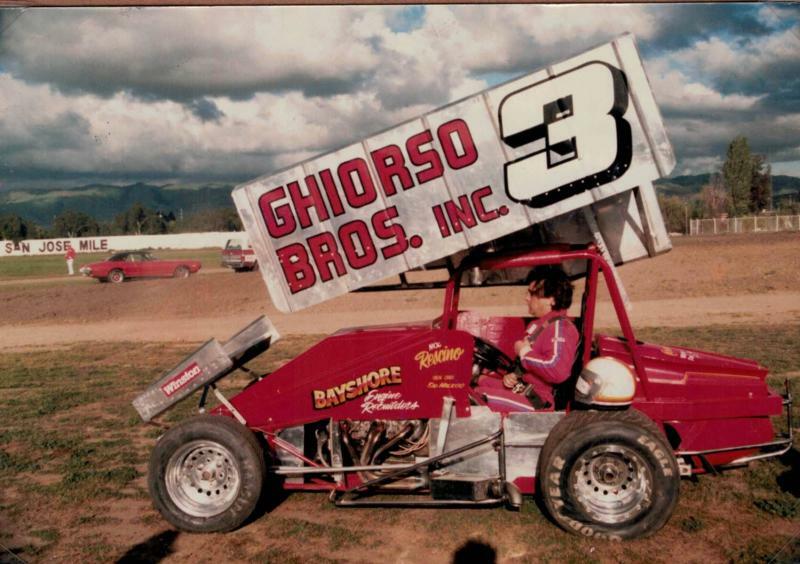 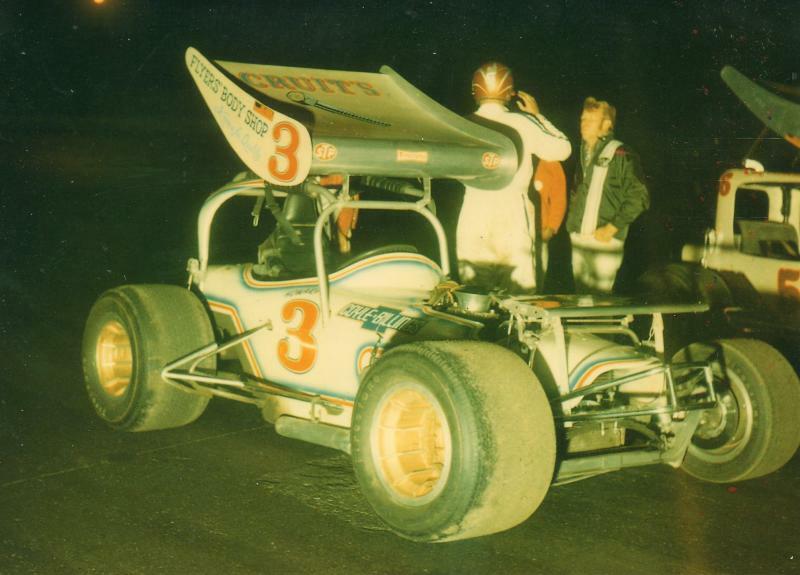 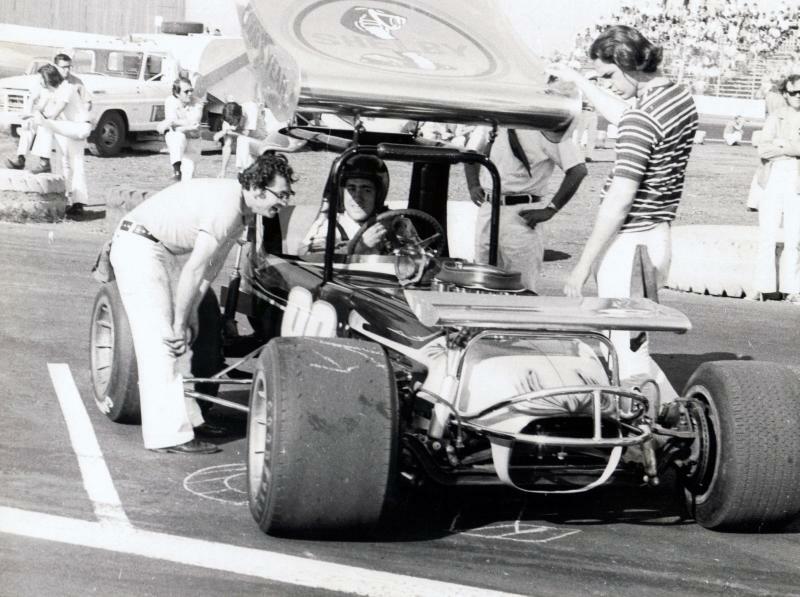 Howard in the #3 Flyer's Body Shop at San Jose 1970. 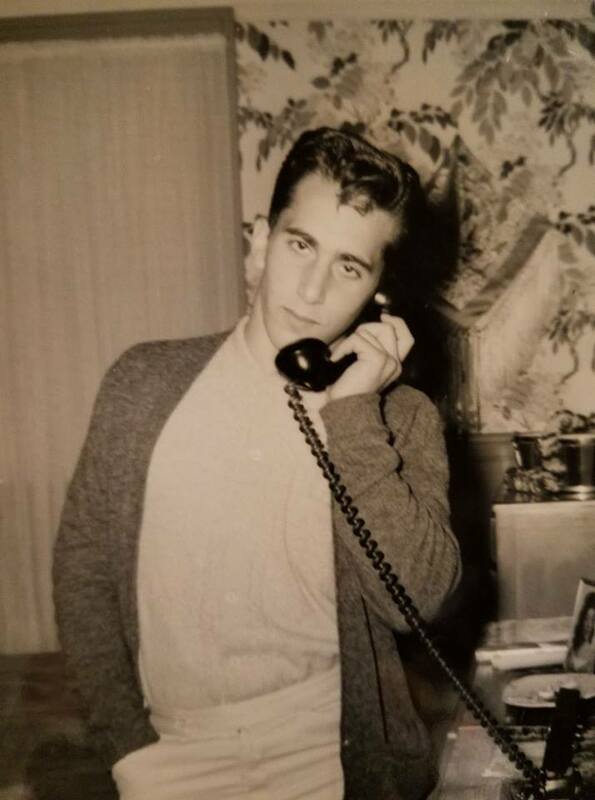 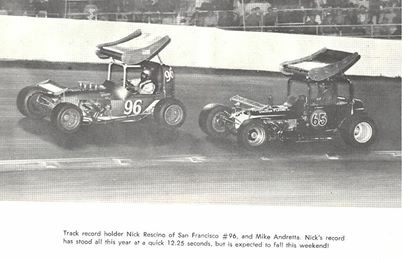 56 in Larry Yarimie. 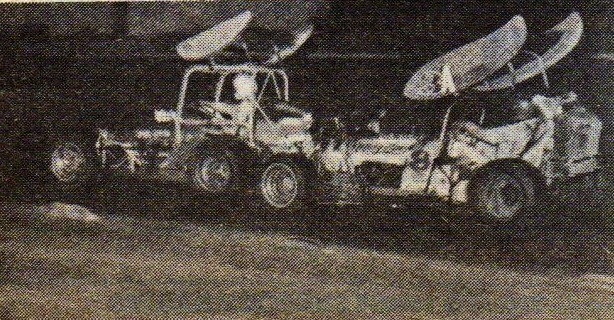 Utah champion Bobby Baker 42 battles with California champion Howard Kaeding 1X during the 1974 Golden West Classic at Altamont October 20th. 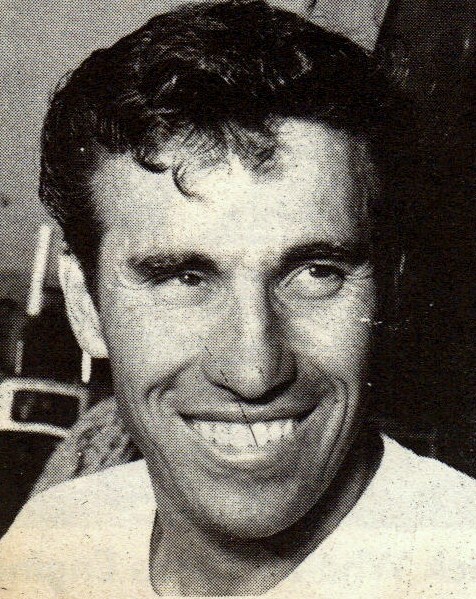 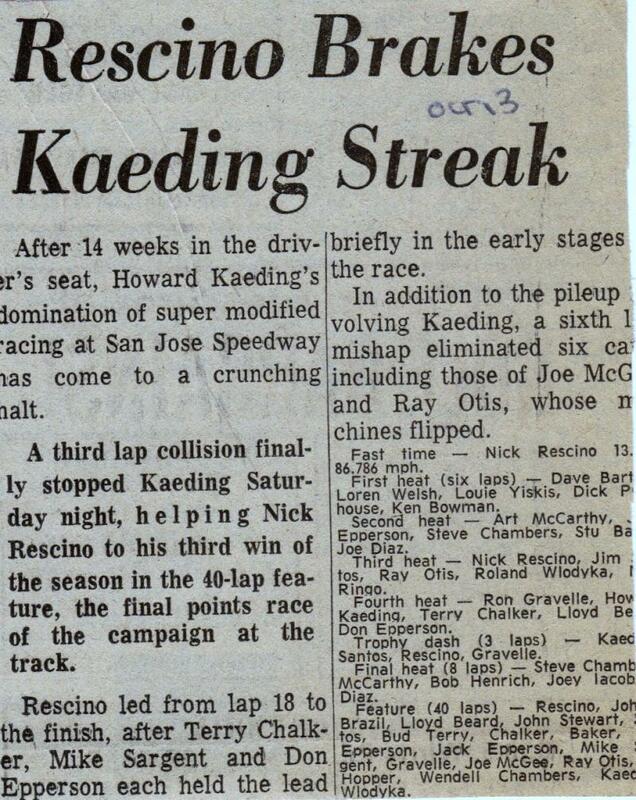 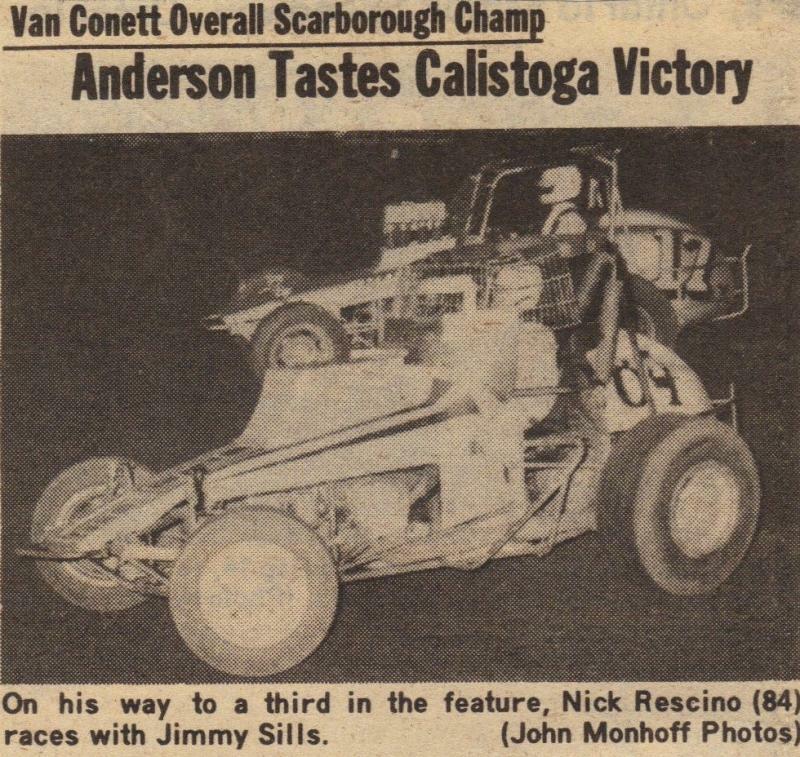 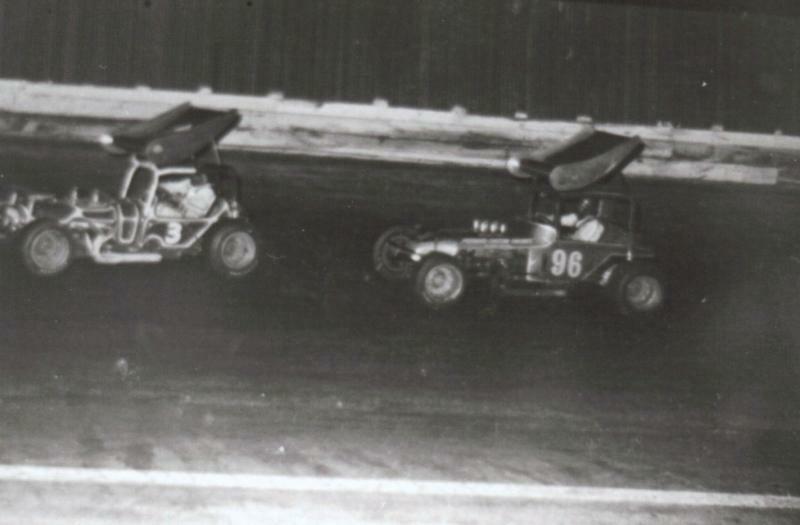 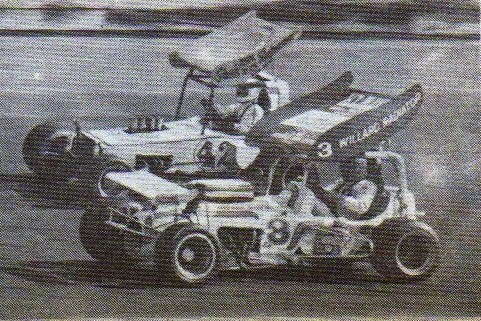 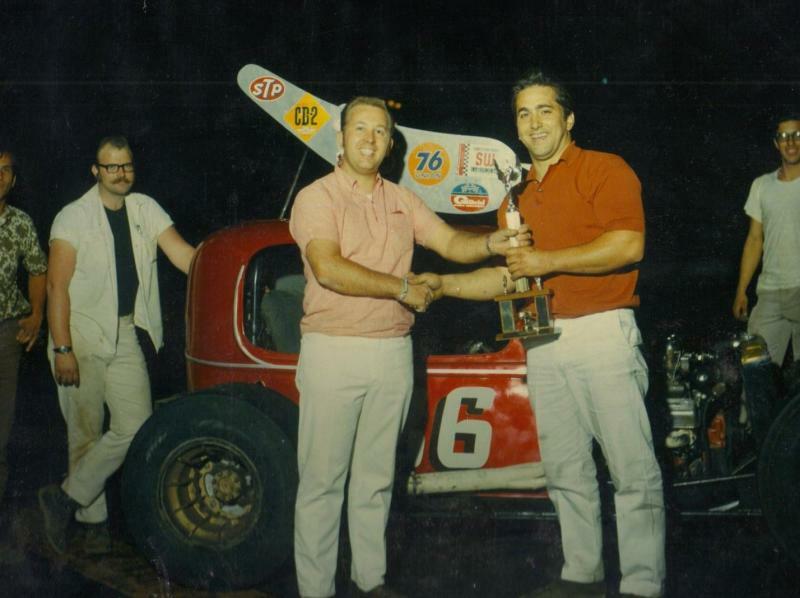 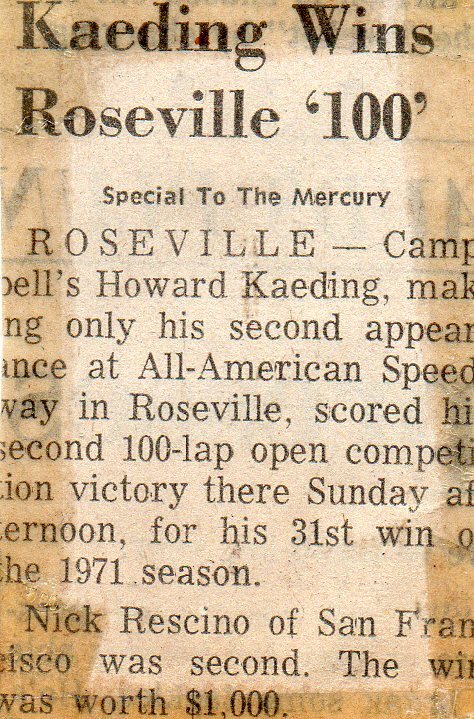 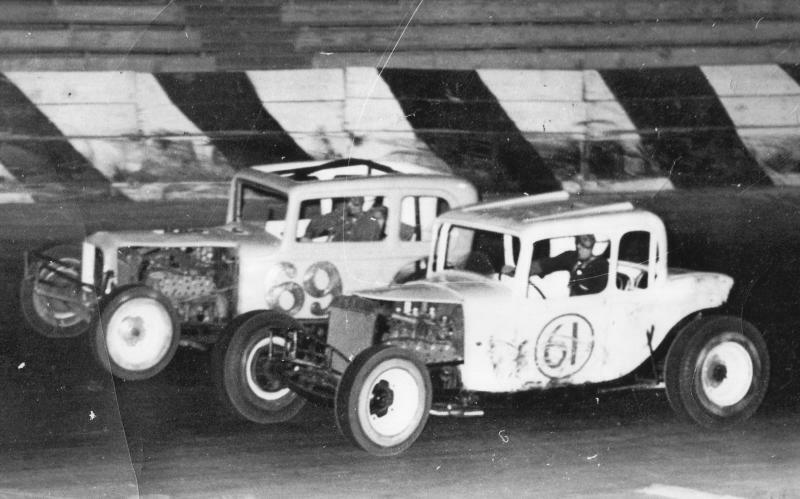 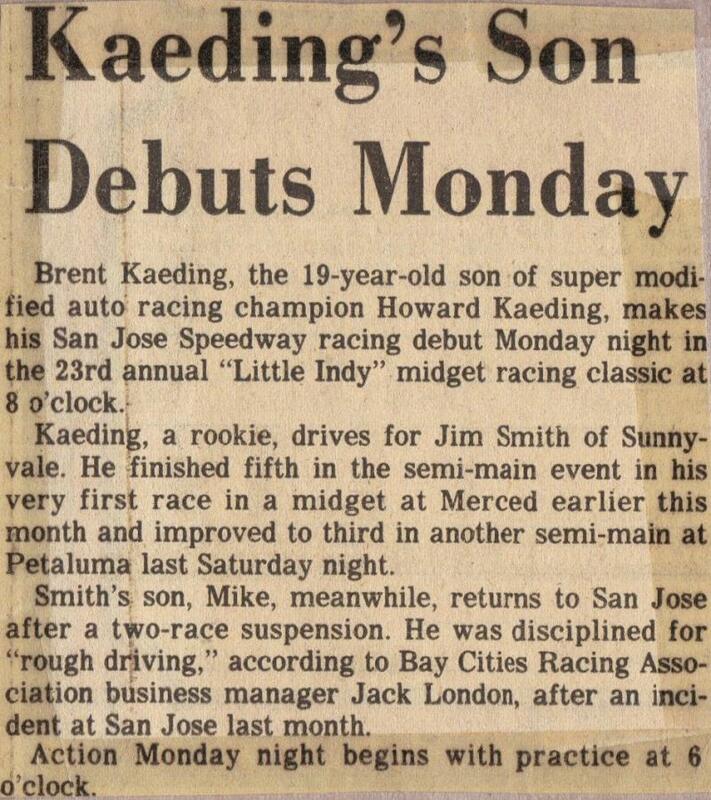 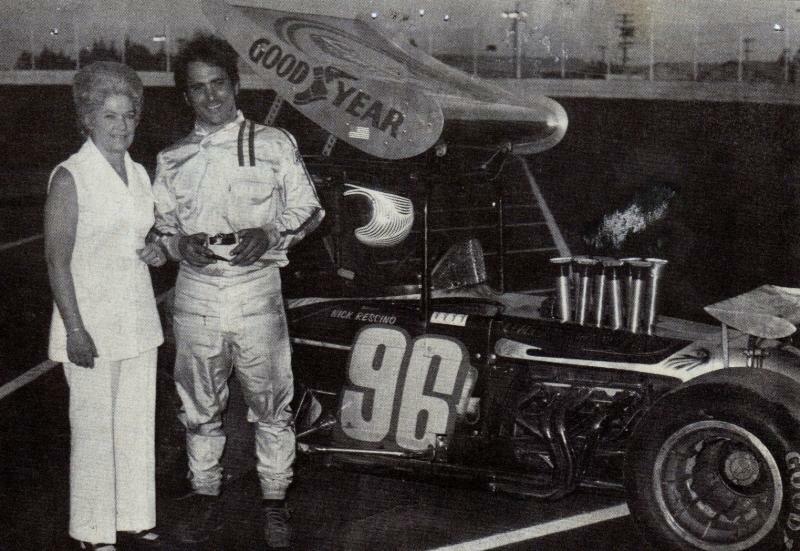 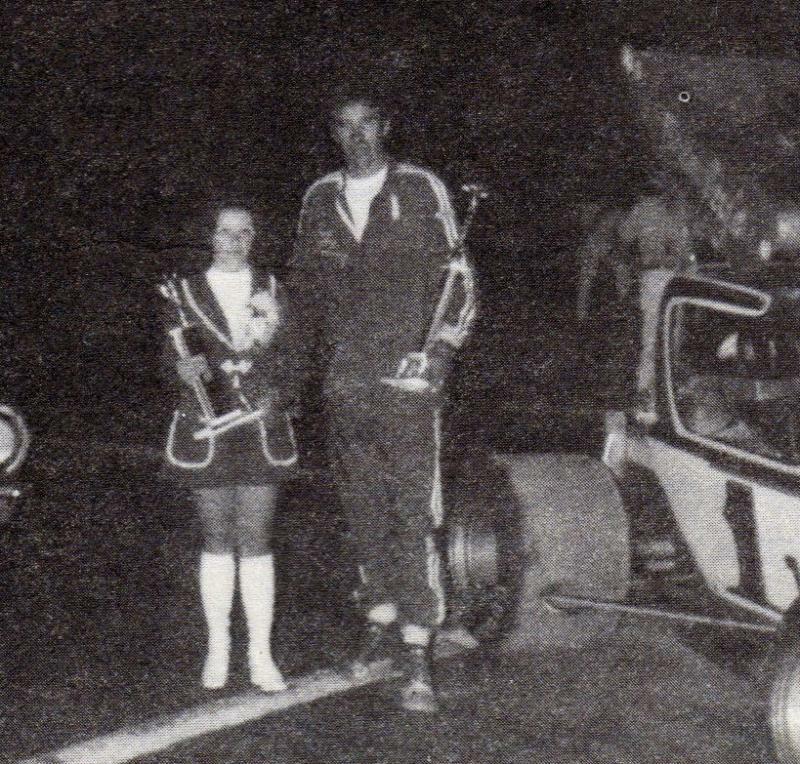 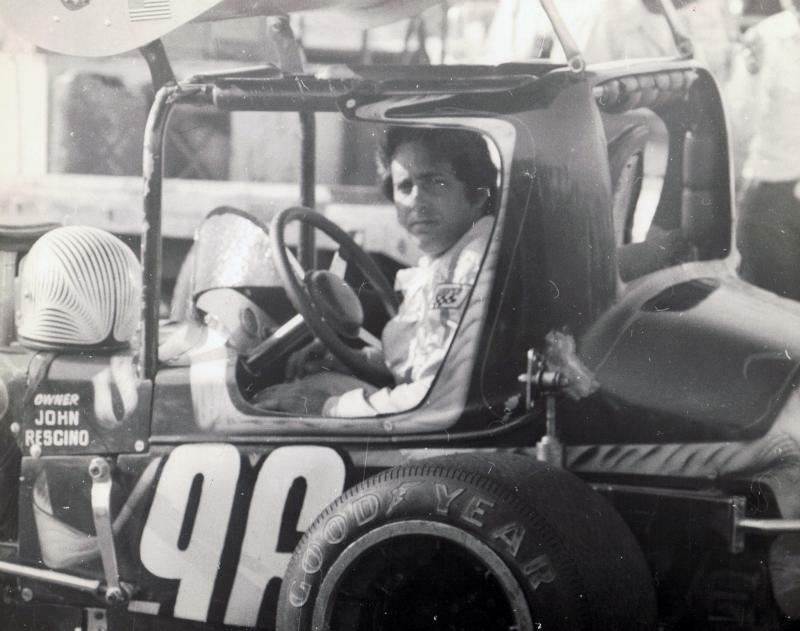 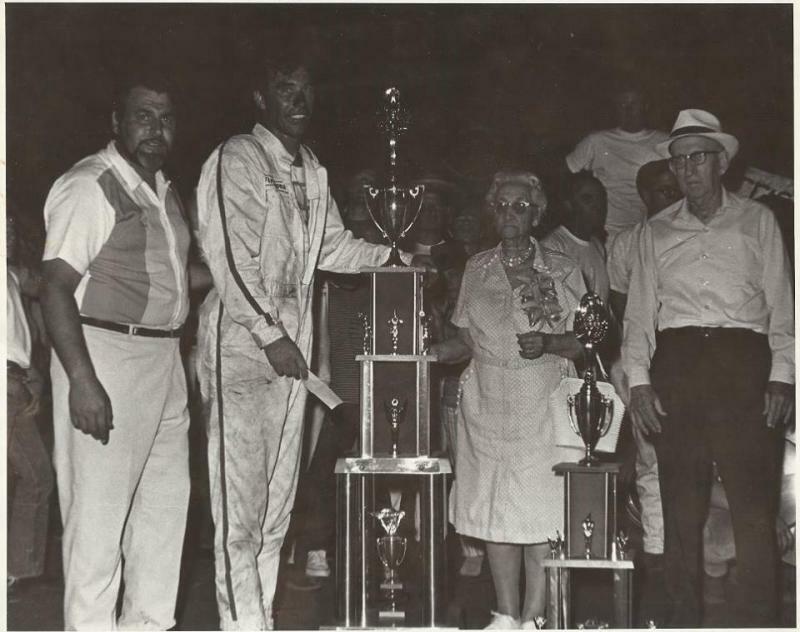 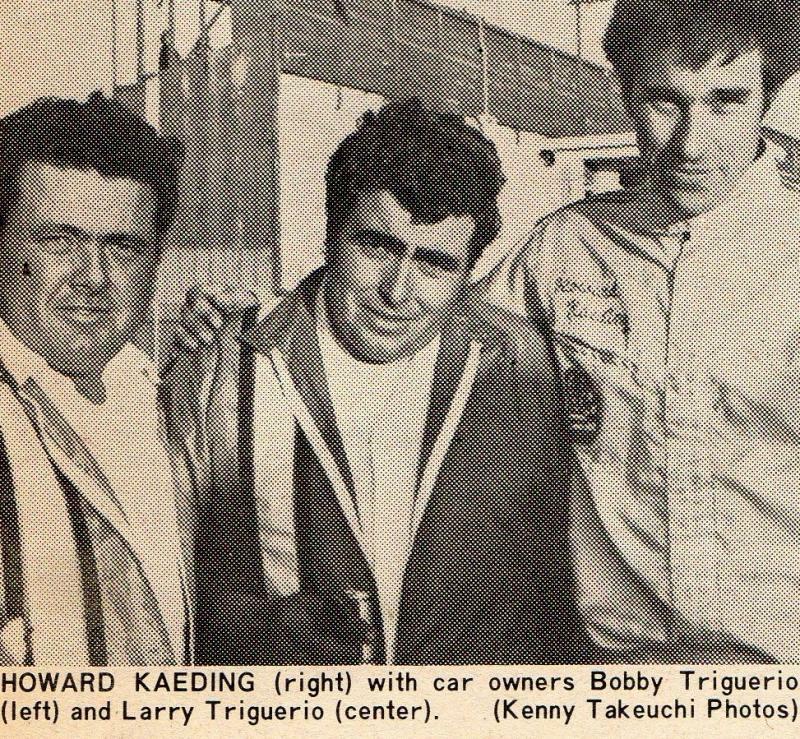 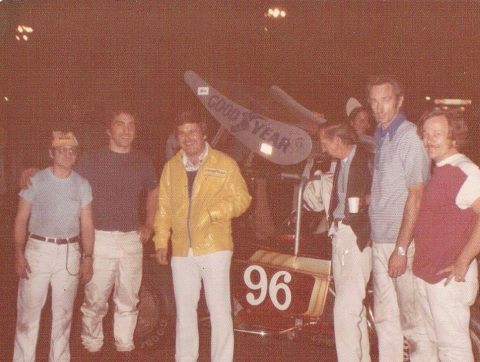 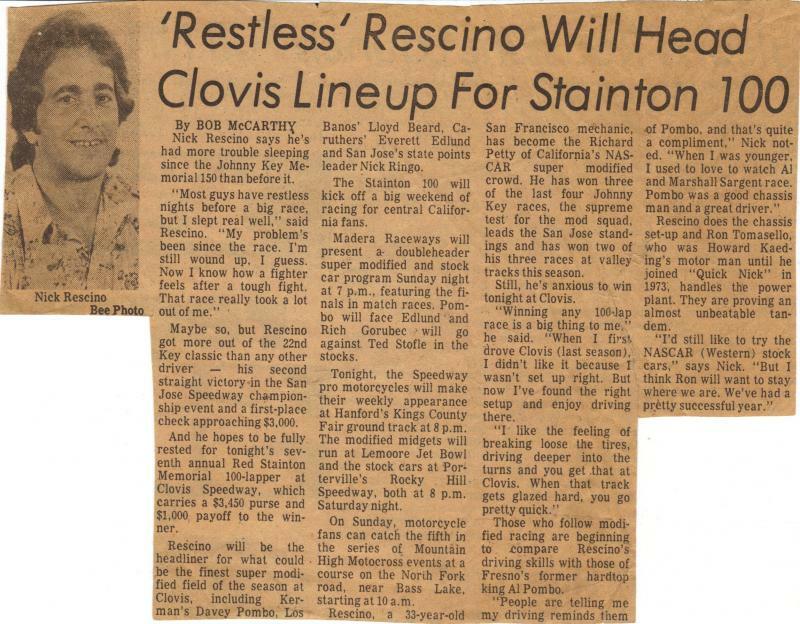 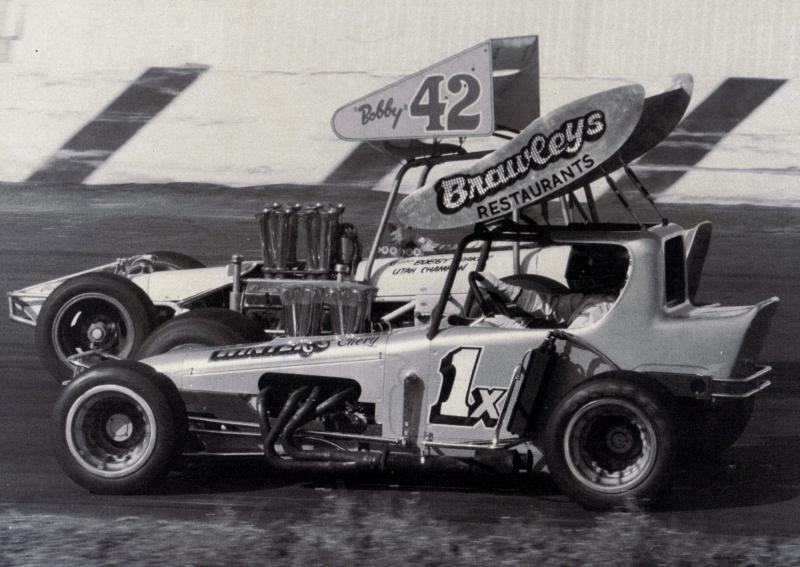 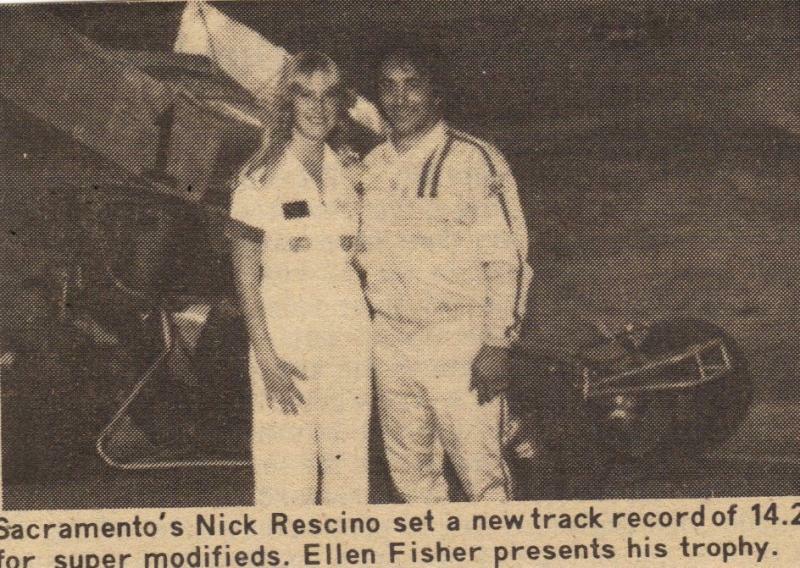 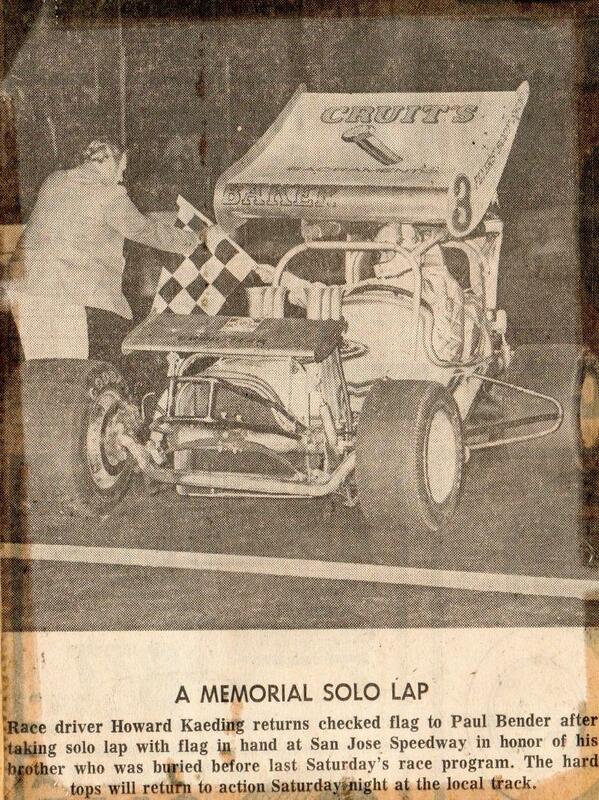 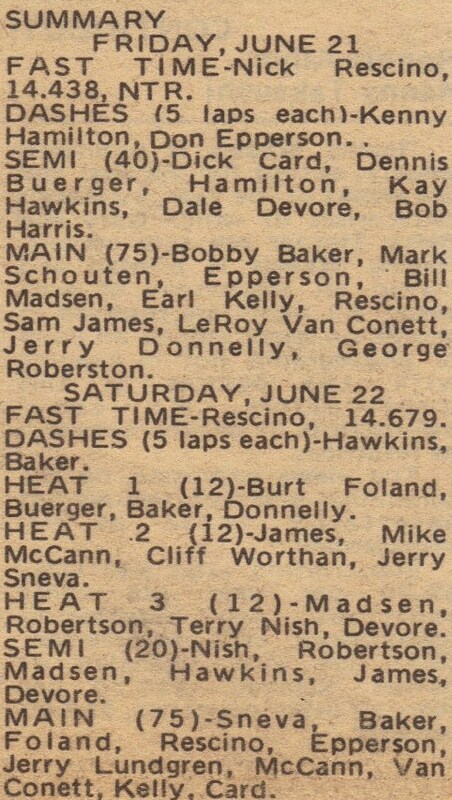 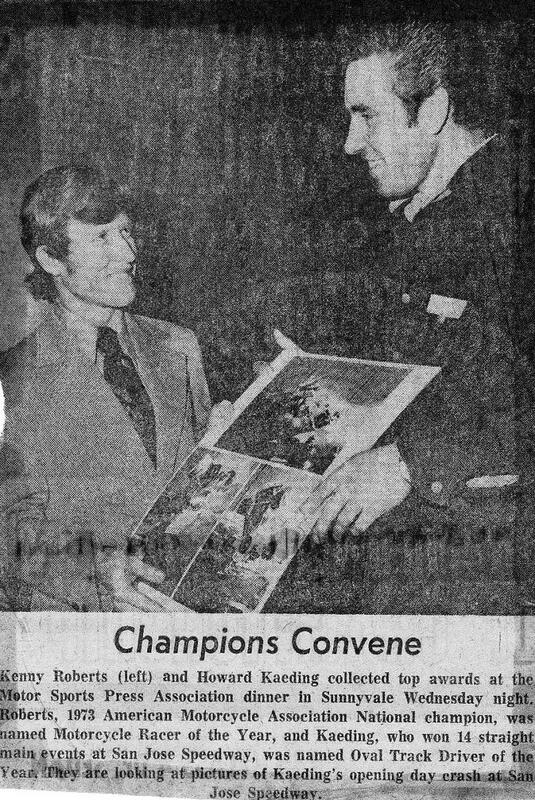 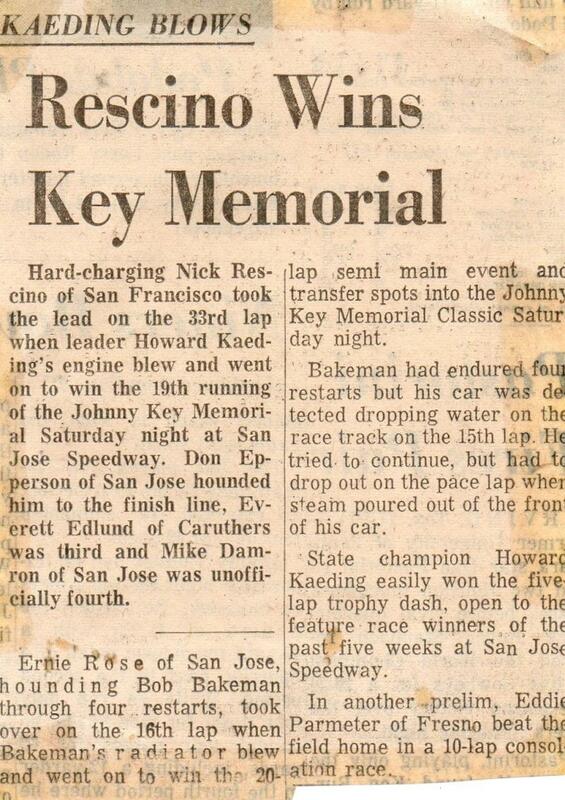 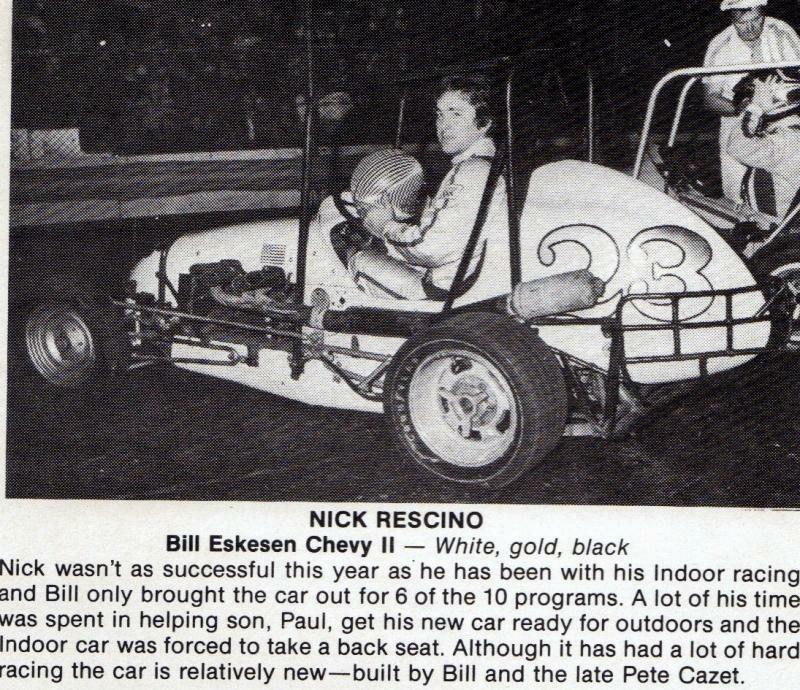 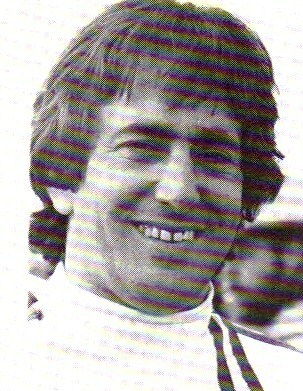 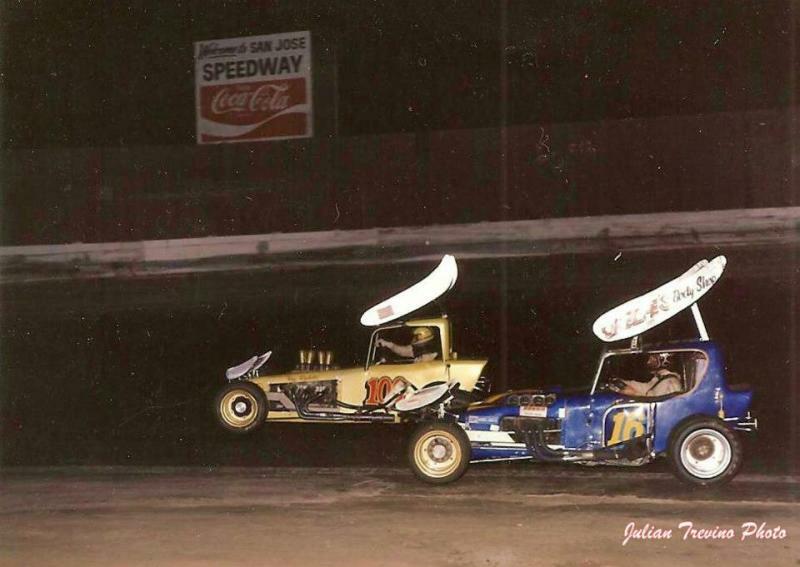 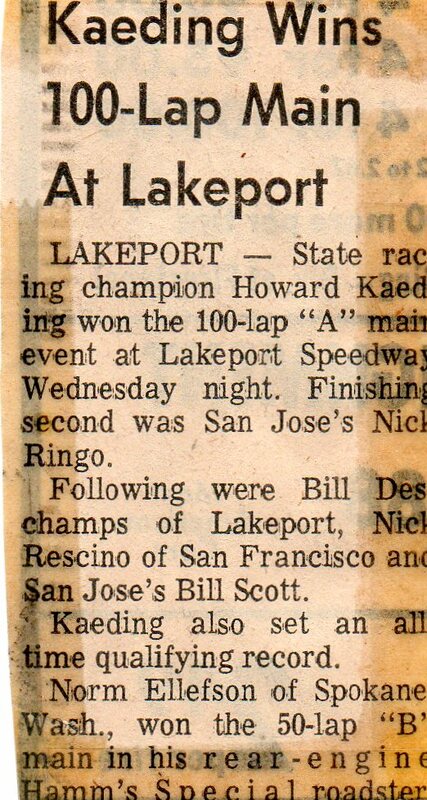 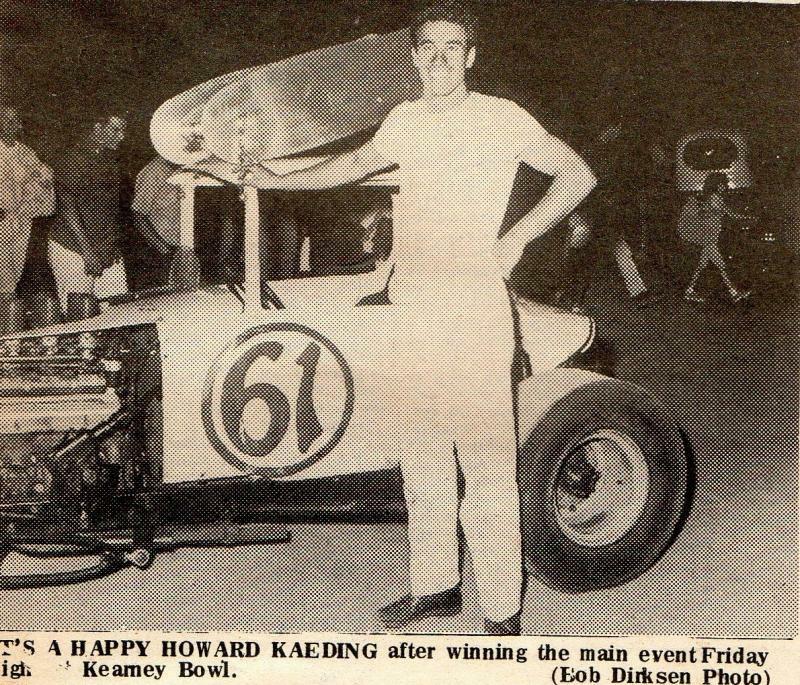 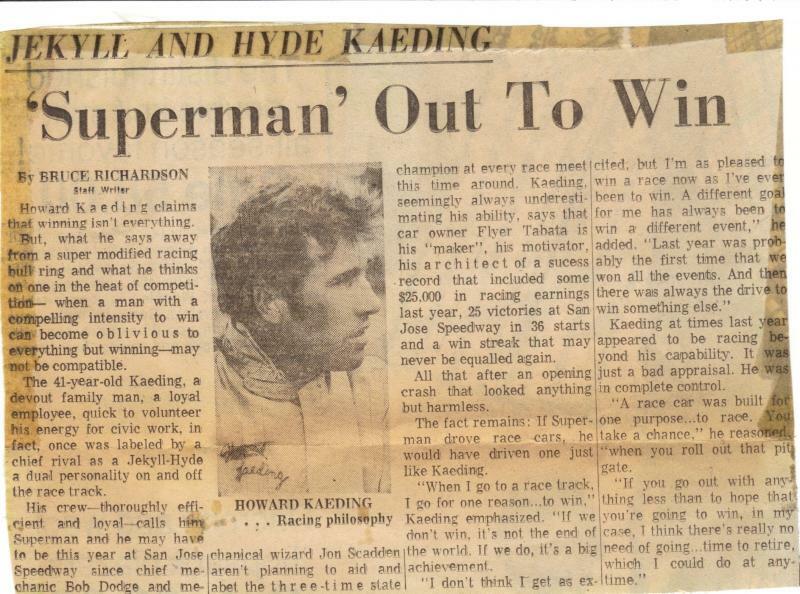 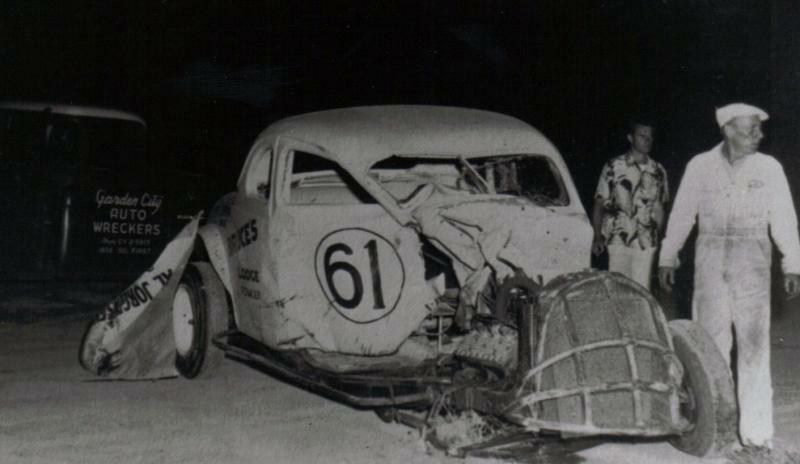 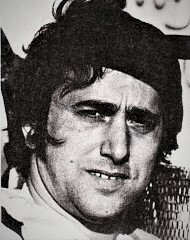 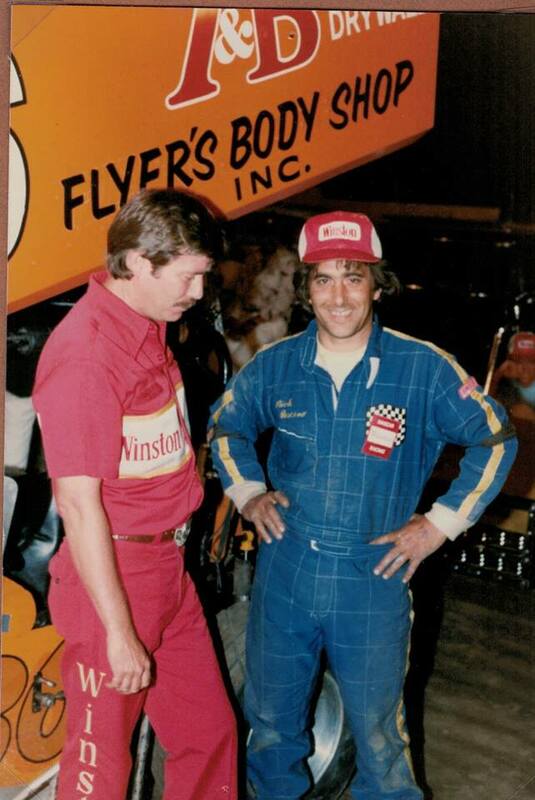 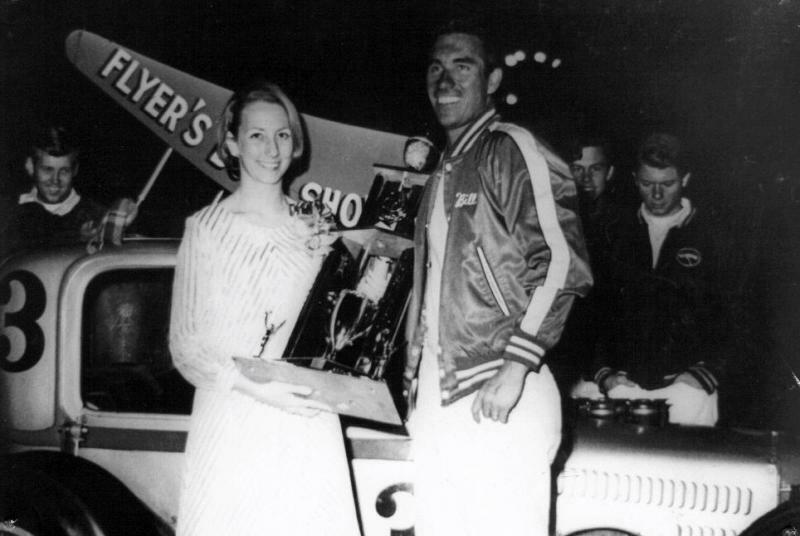 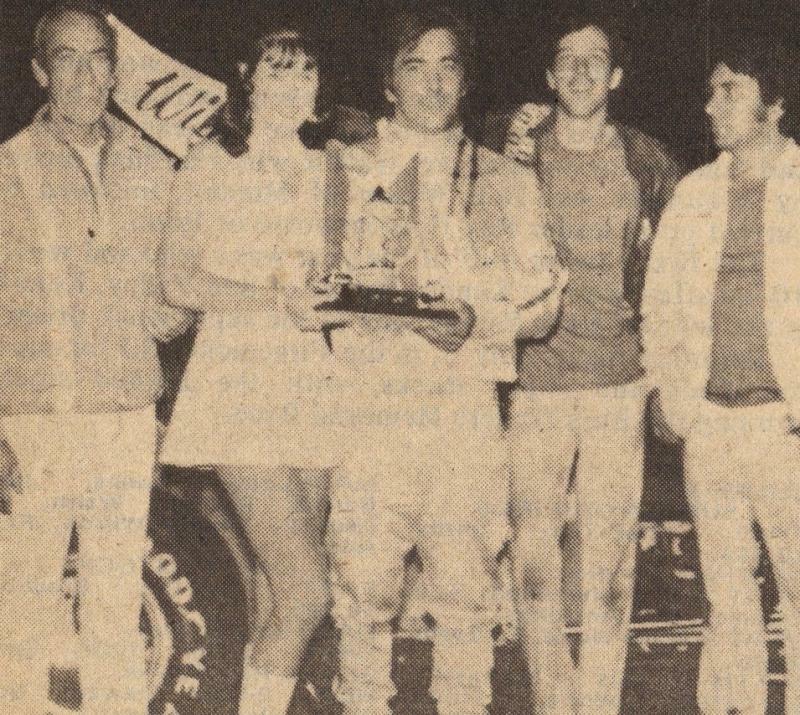 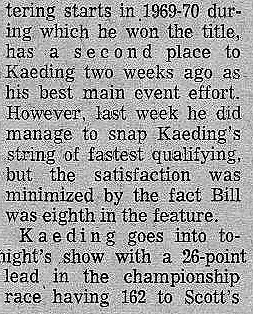 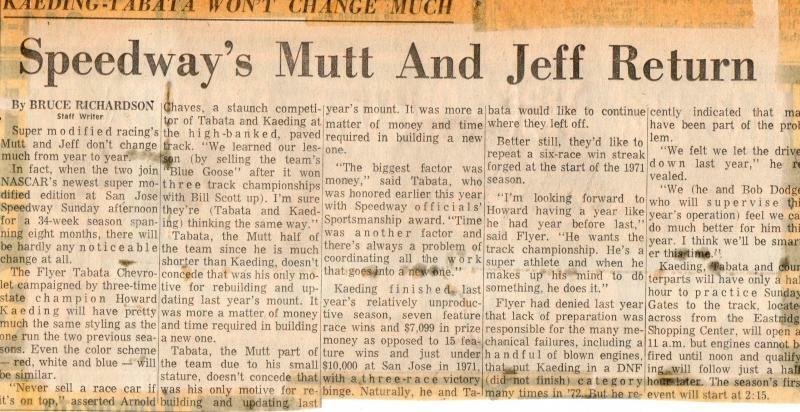 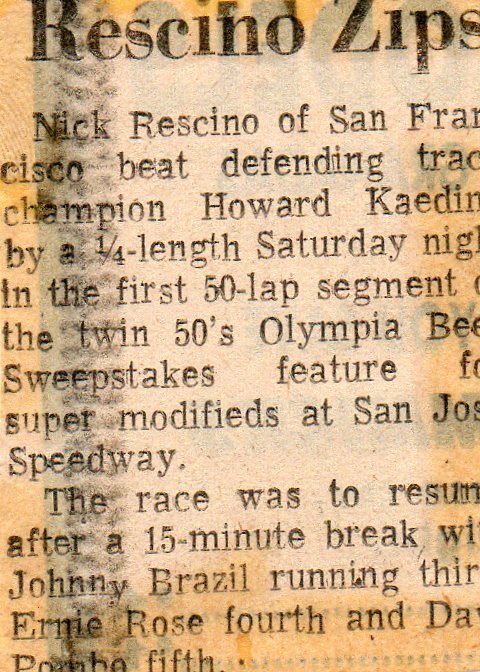 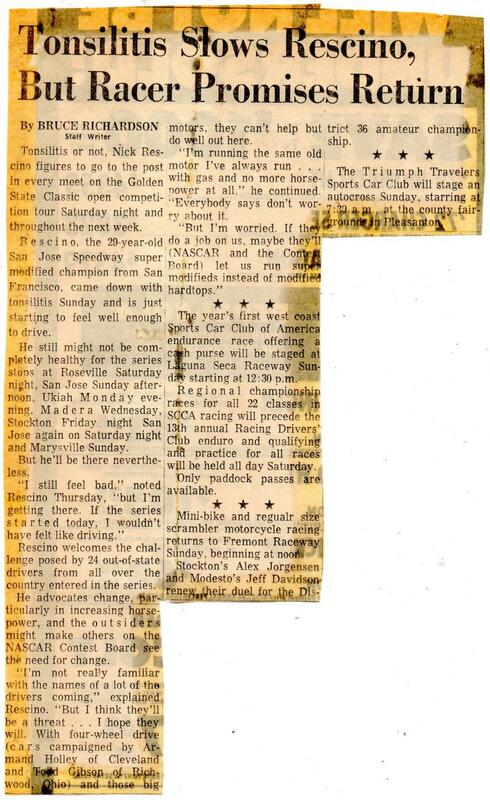 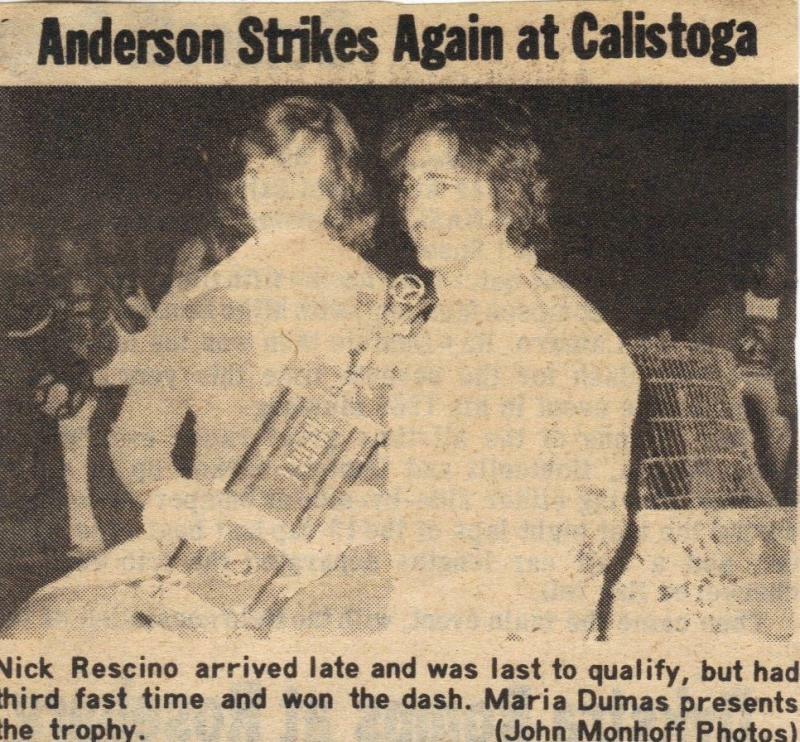 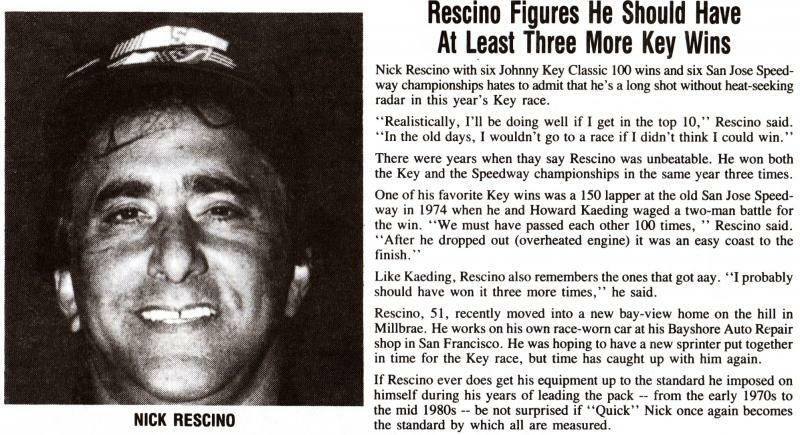 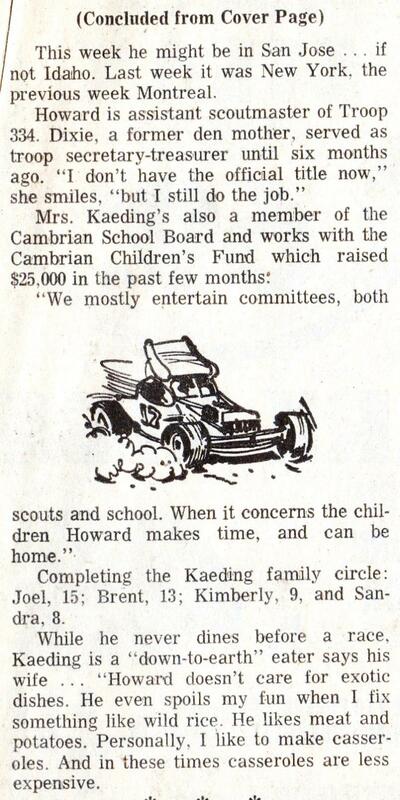 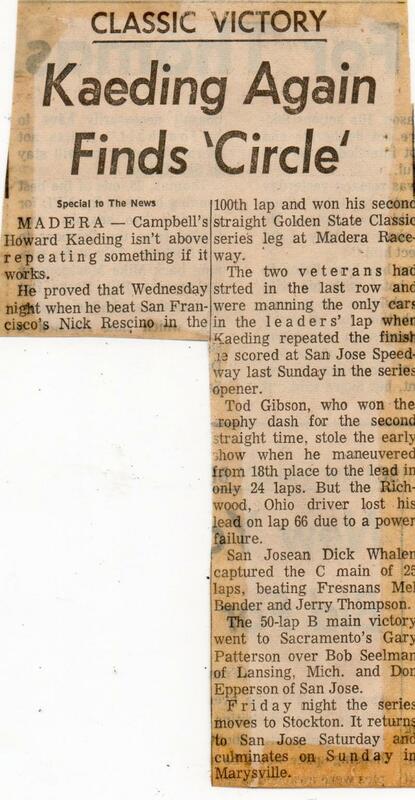 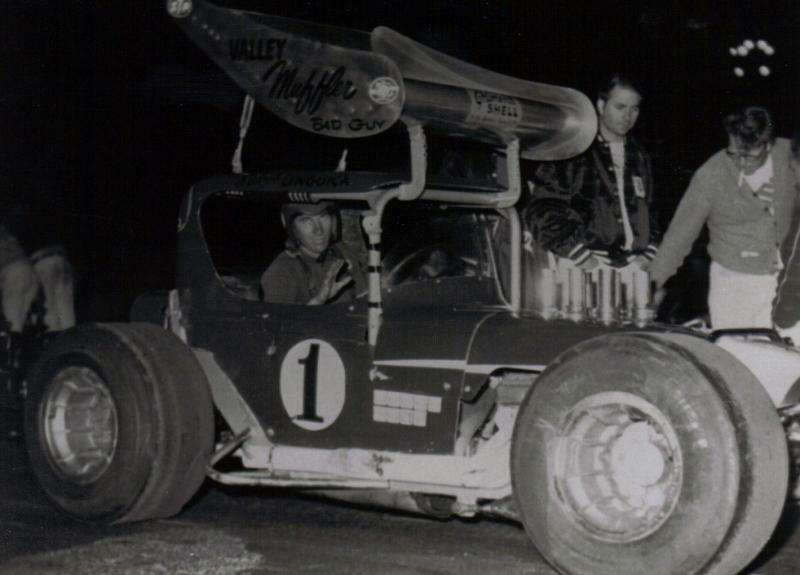 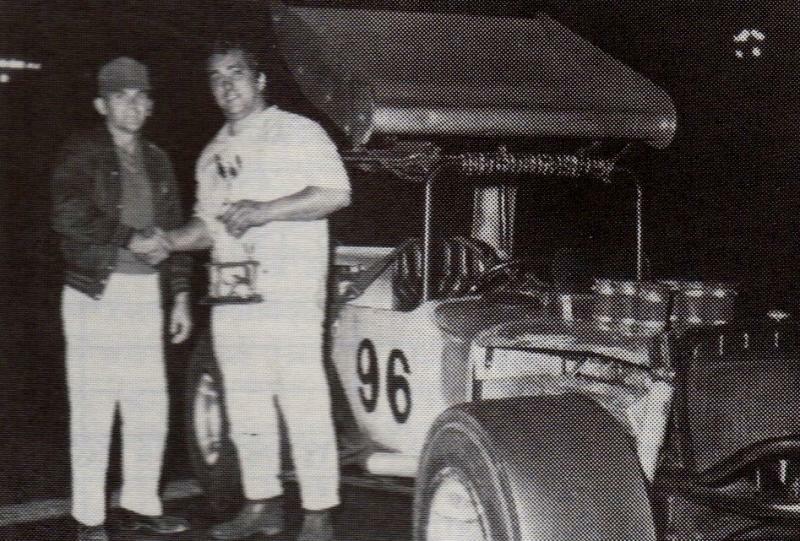 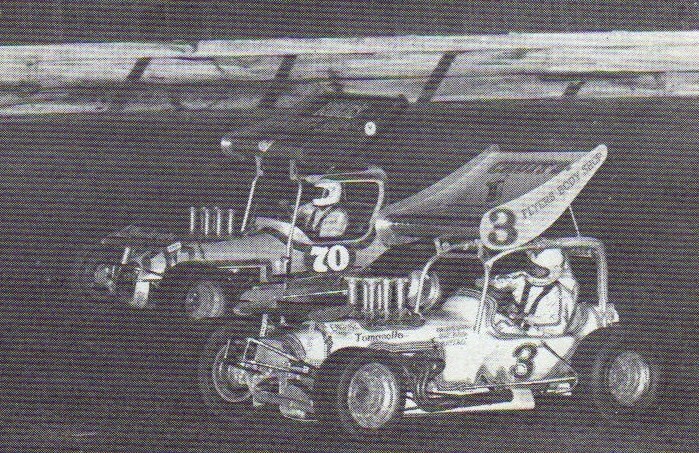 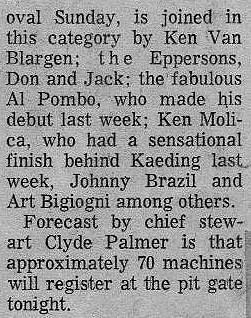 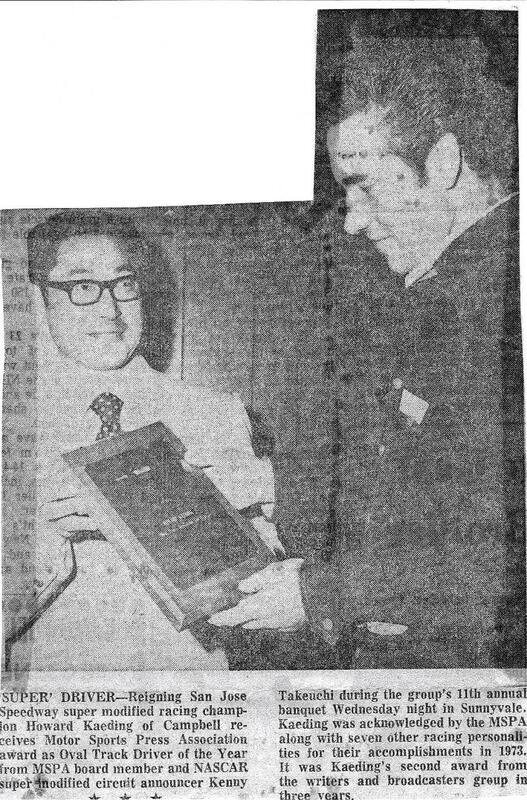 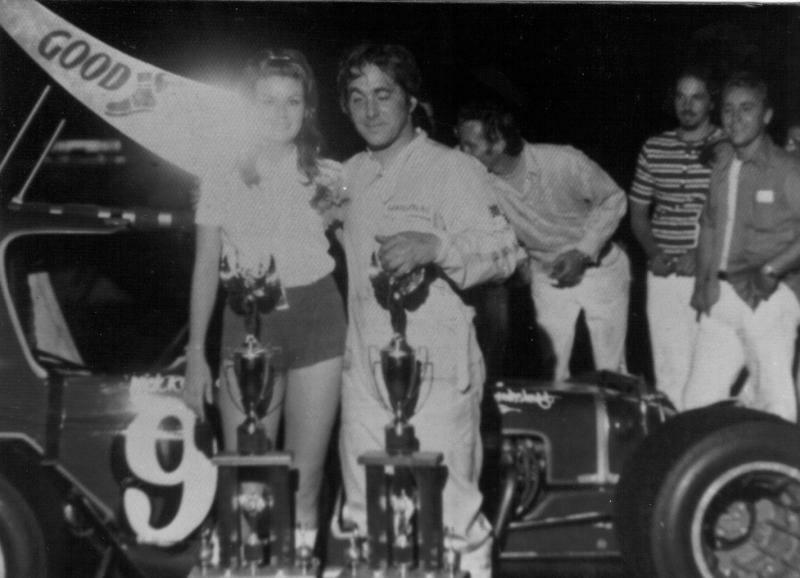 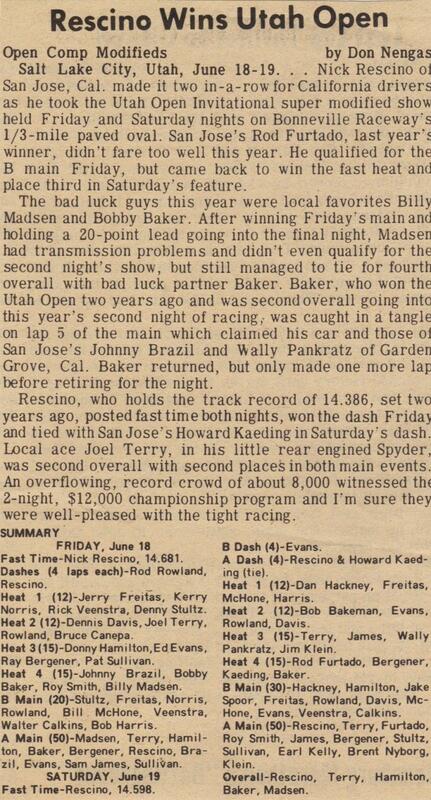 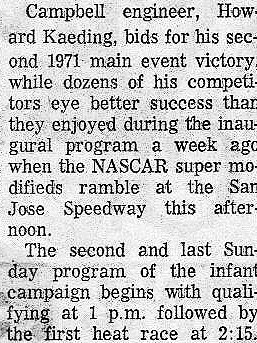 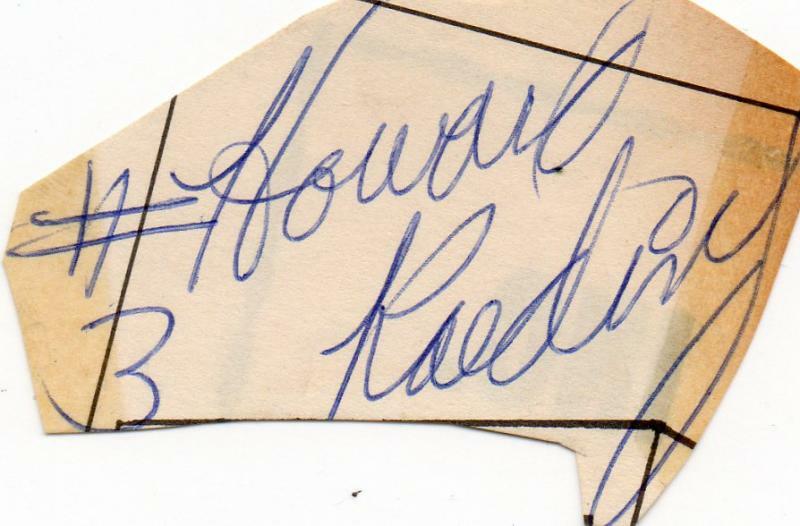 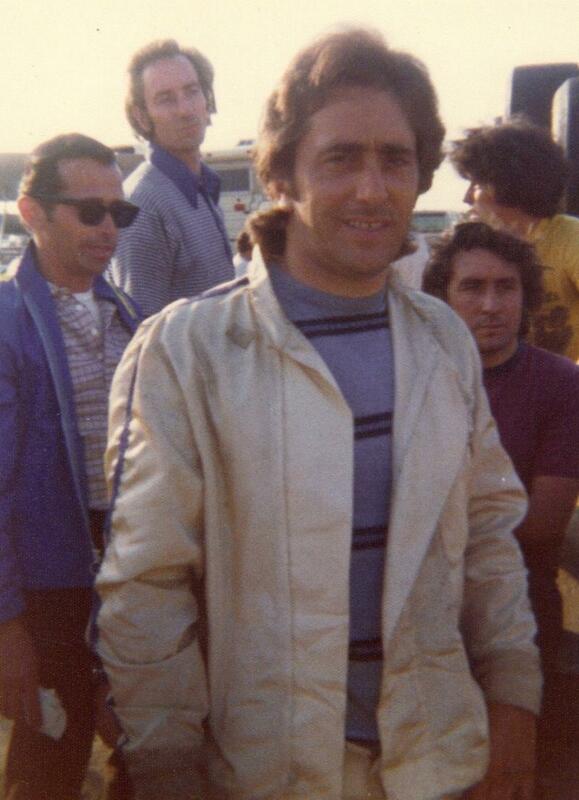 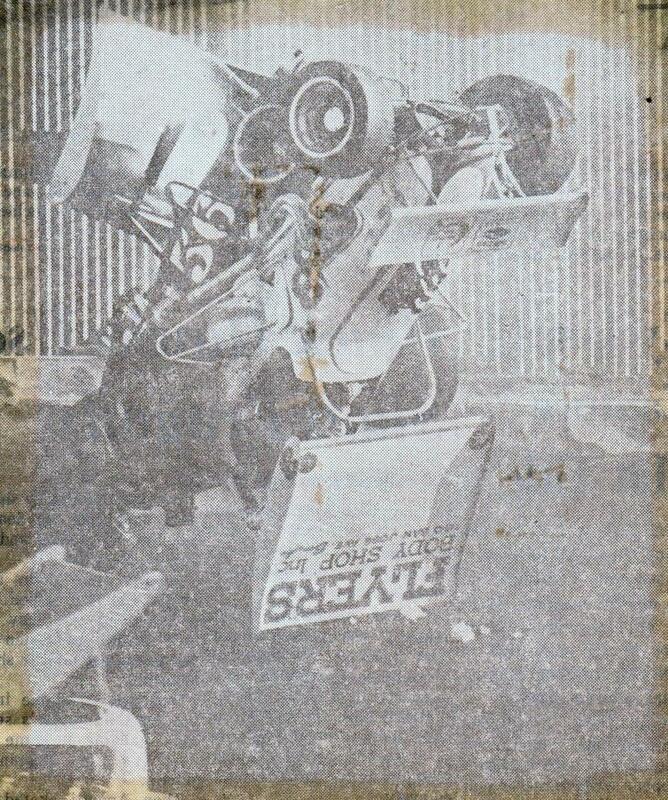 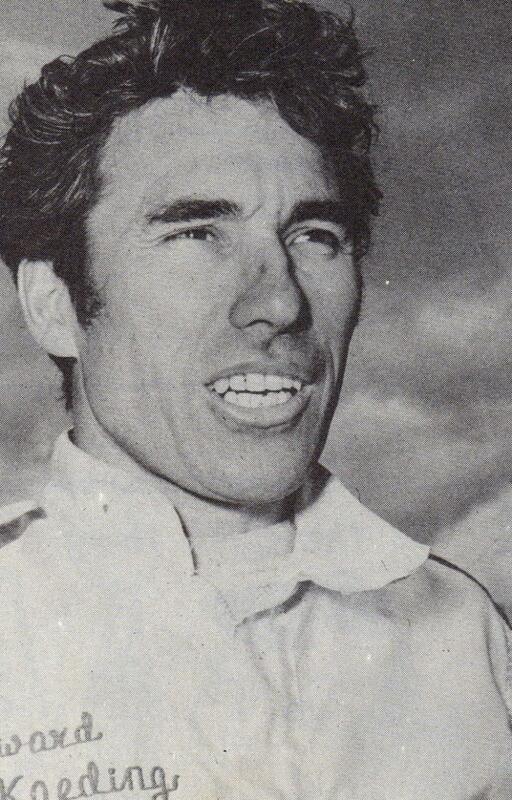 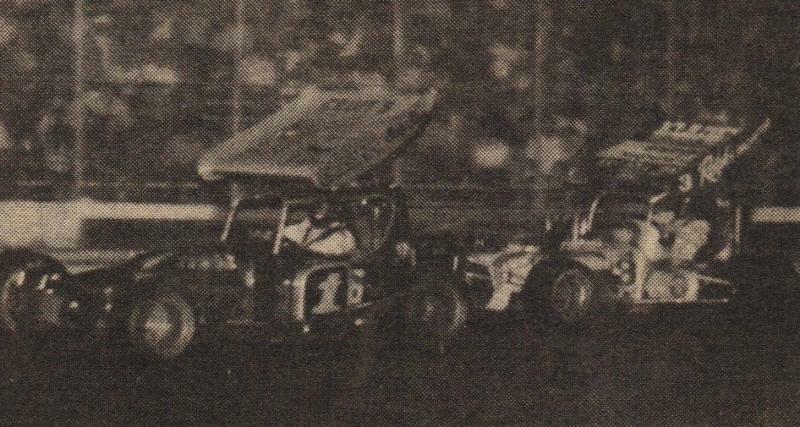 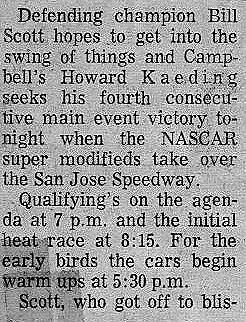 1974 Second Night - Fast Time, 4th in A-main. 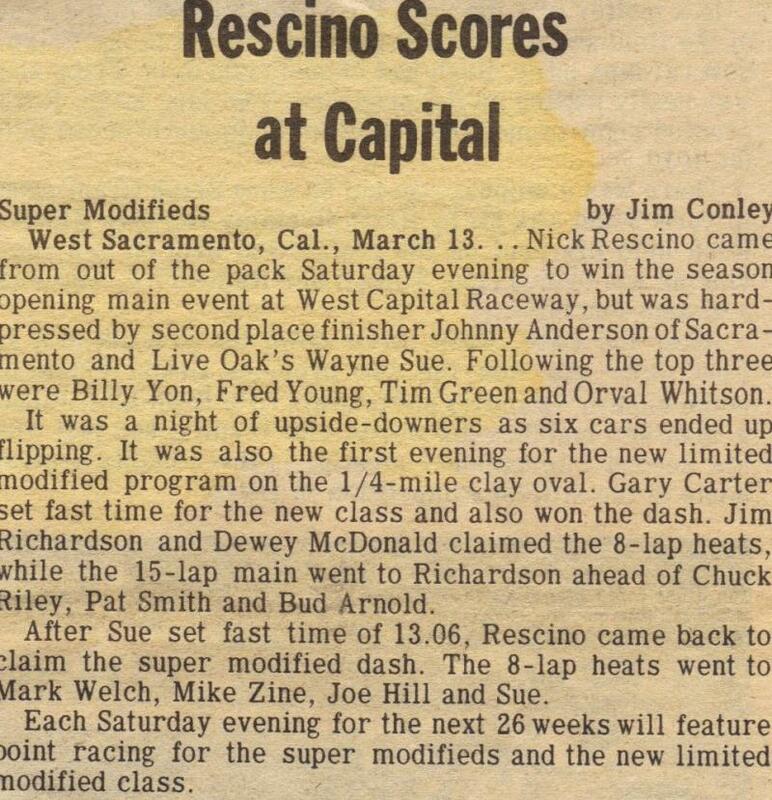 3rd Overall Points. 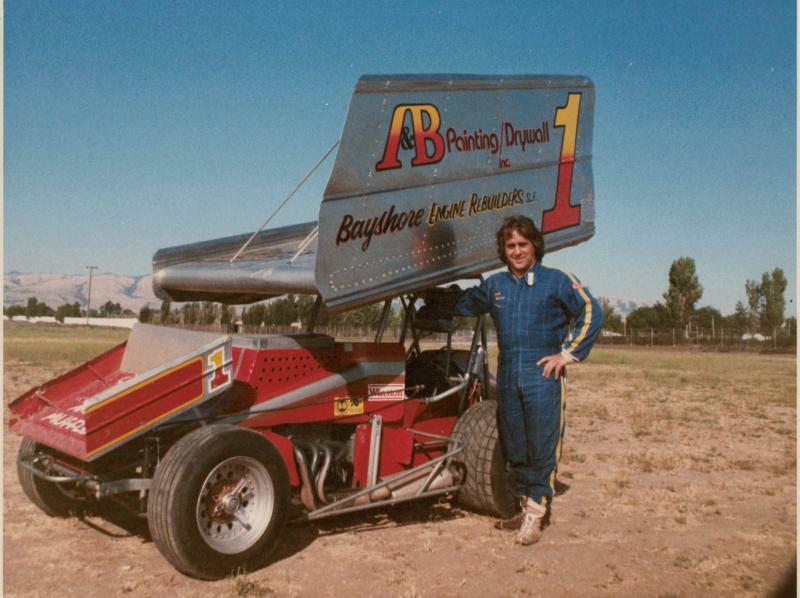 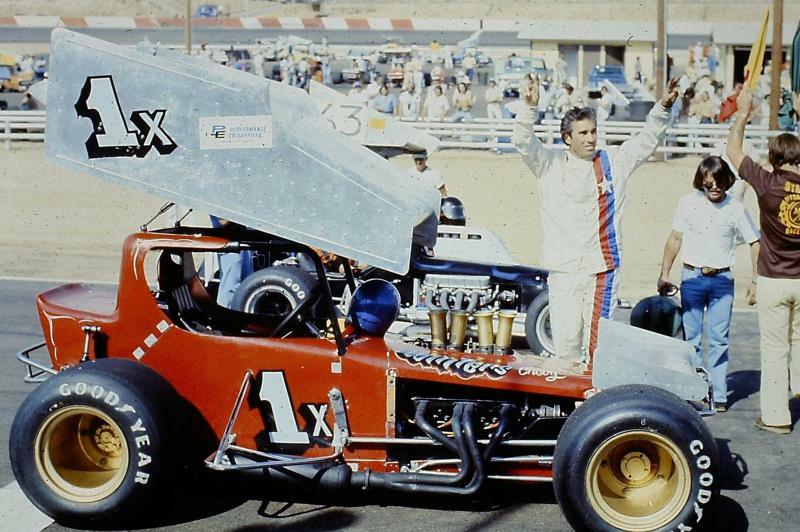 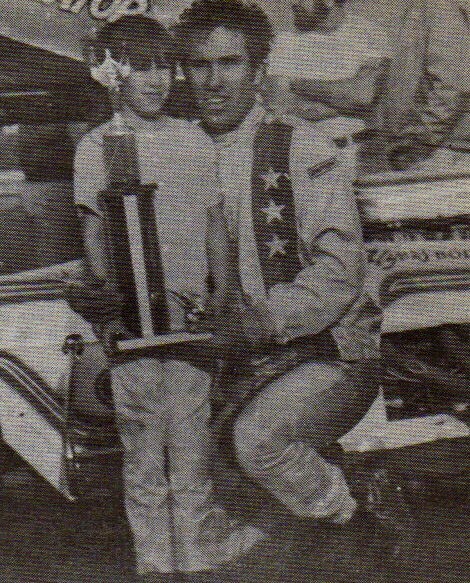 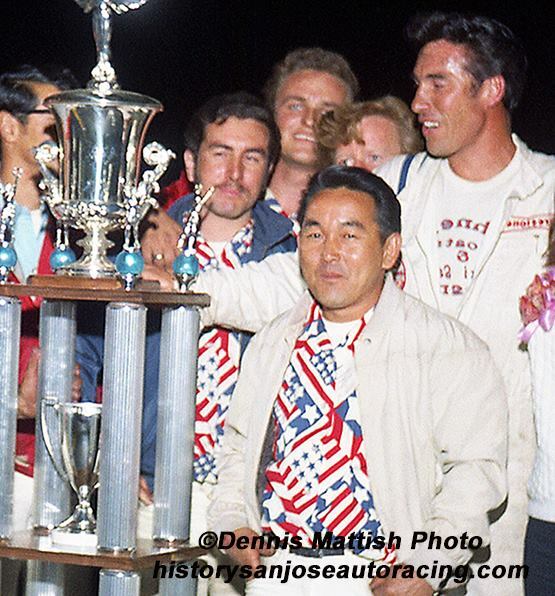 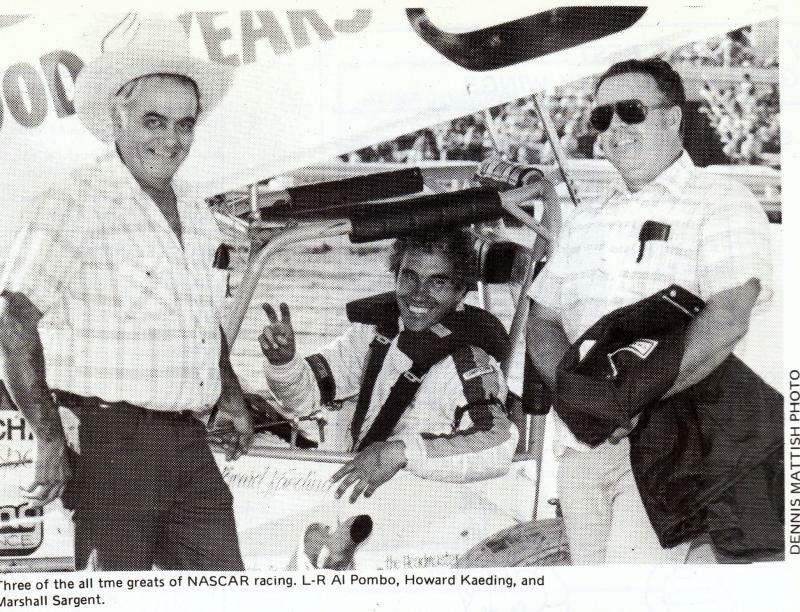 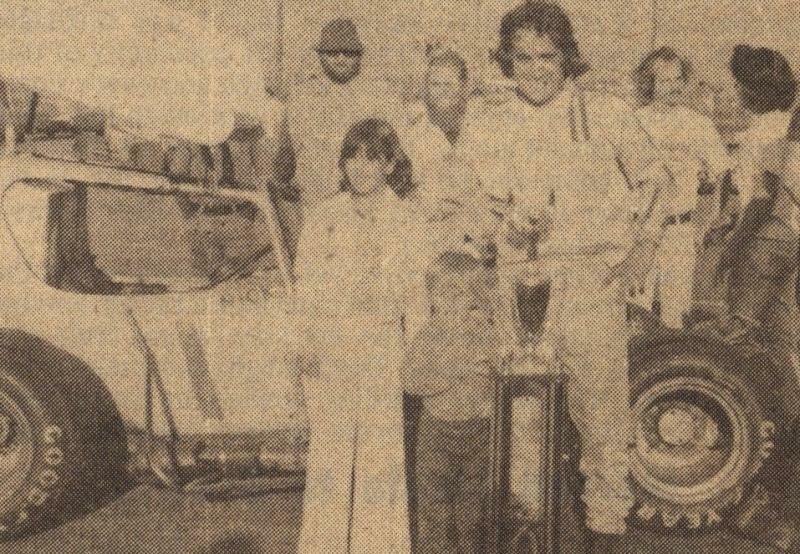 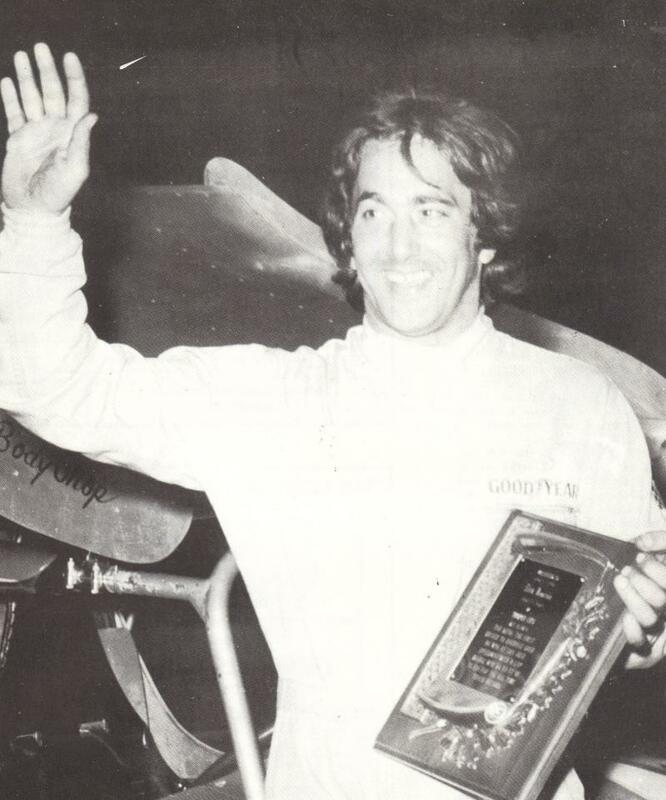 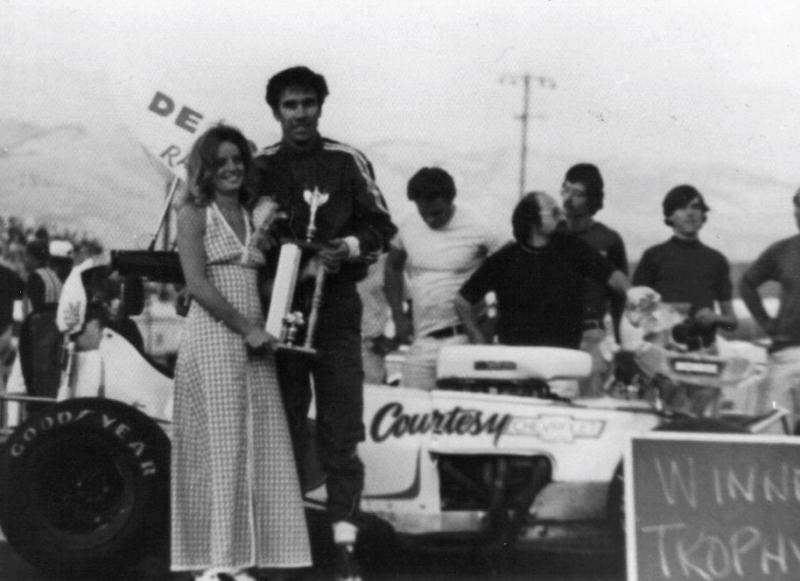 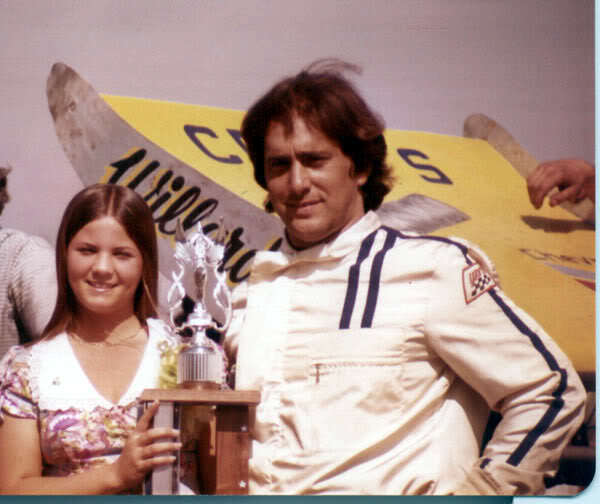 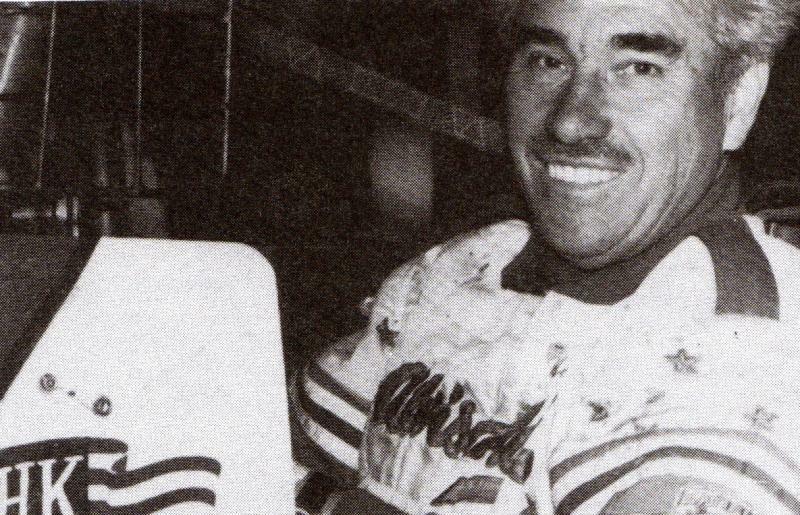 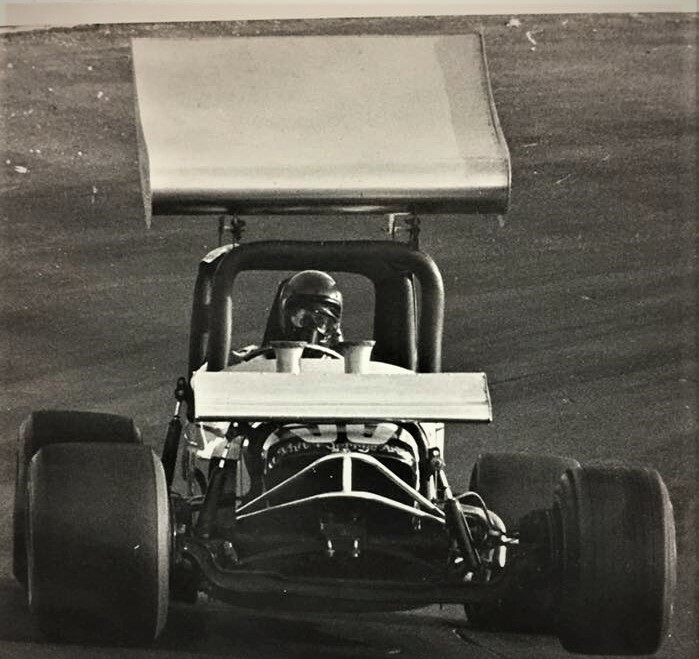 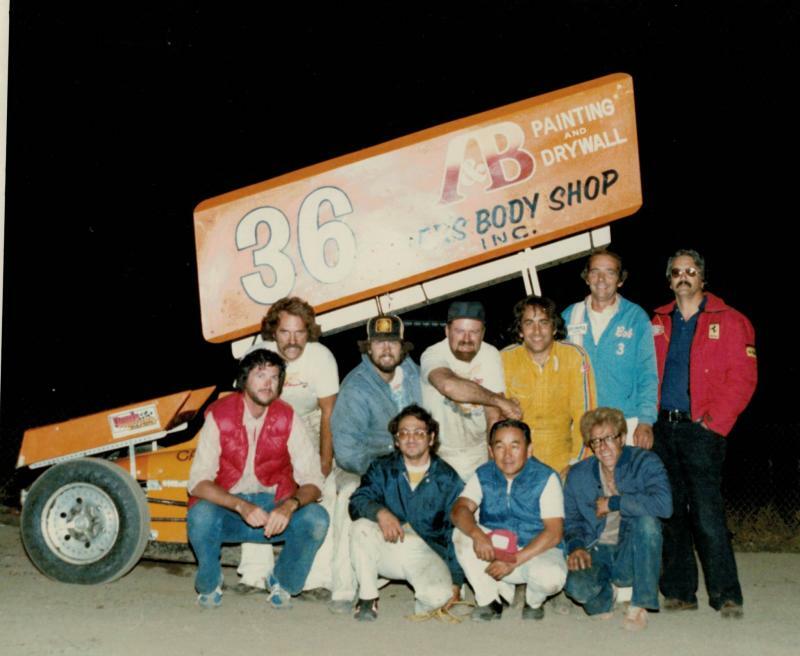 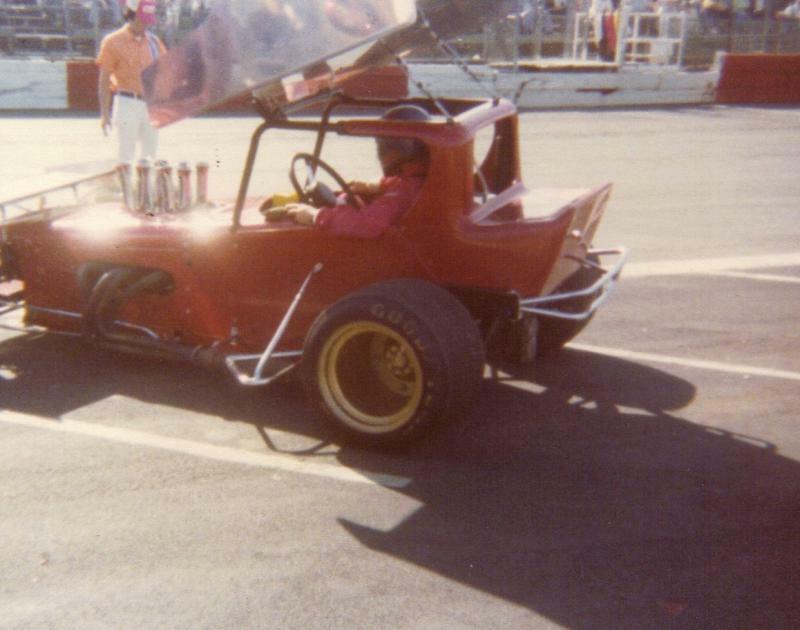 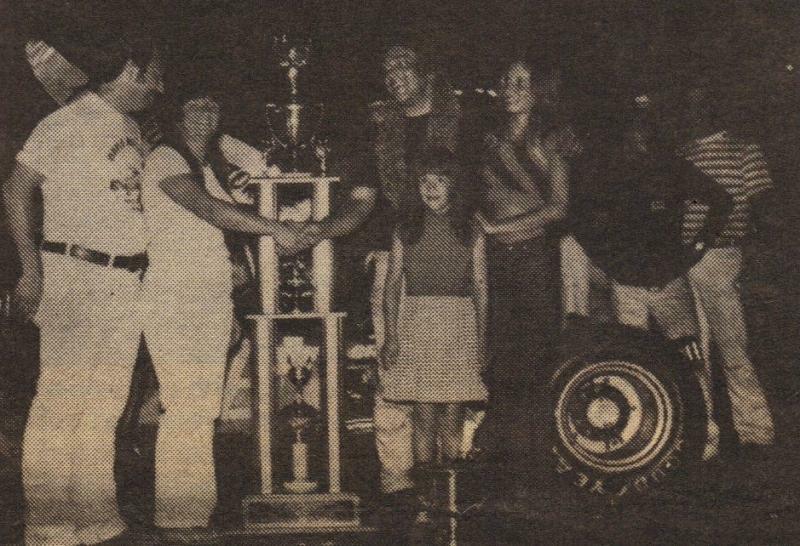 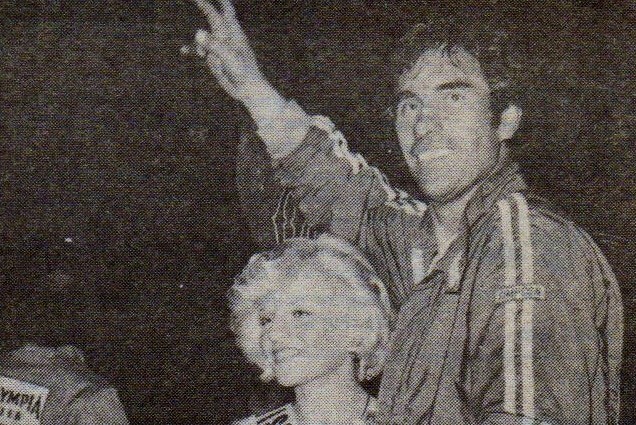 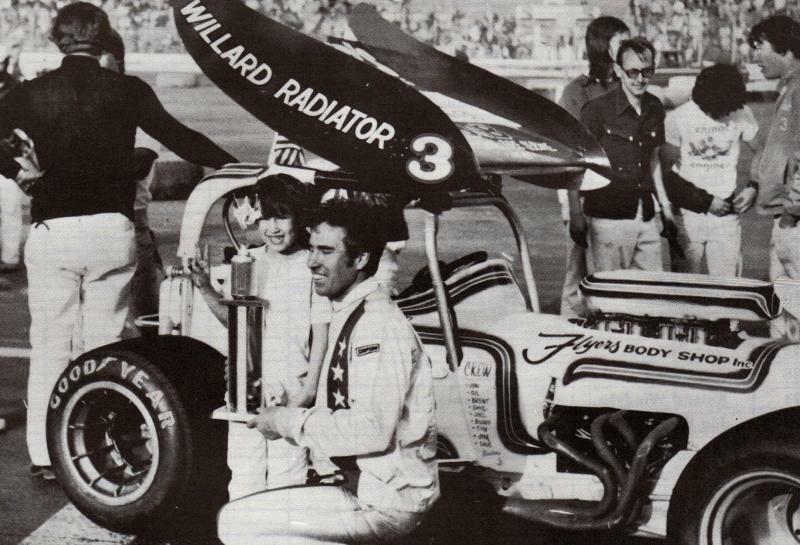 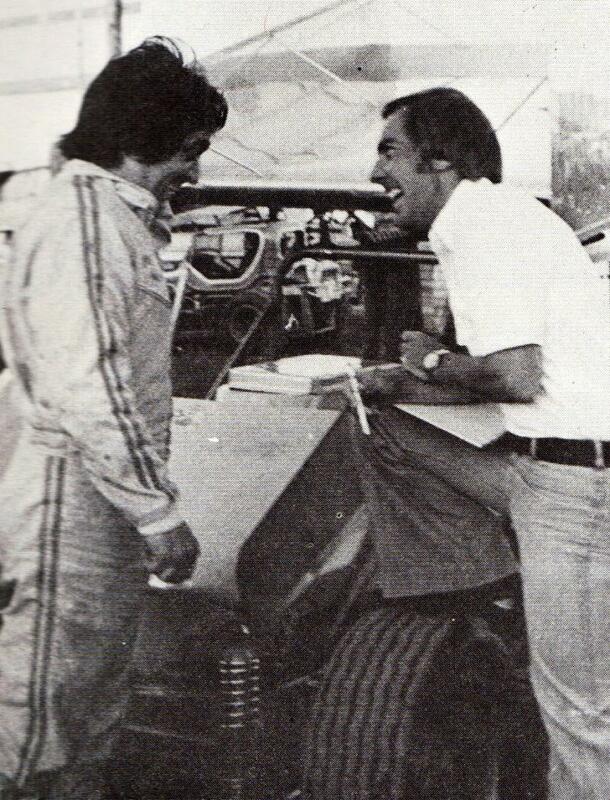 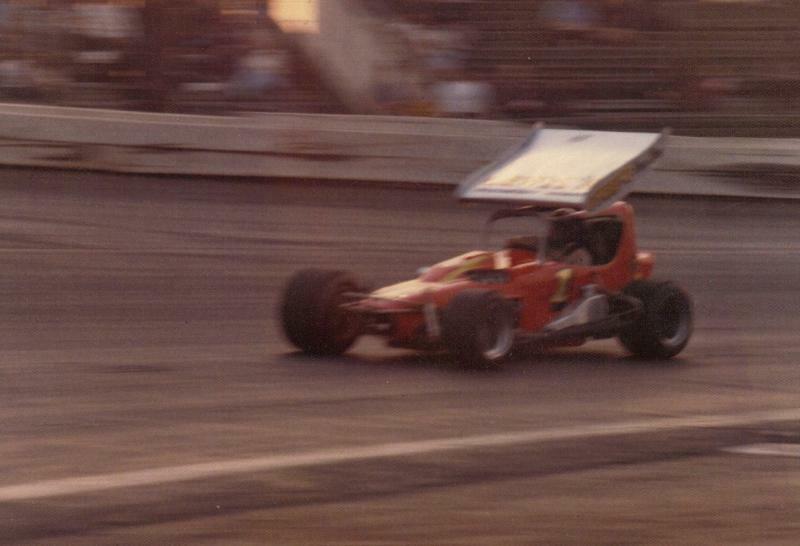 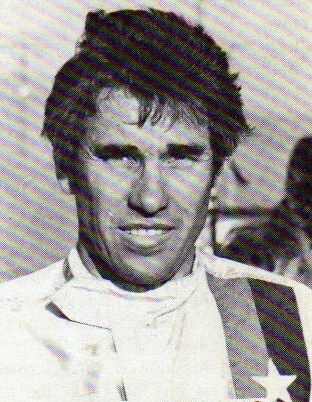 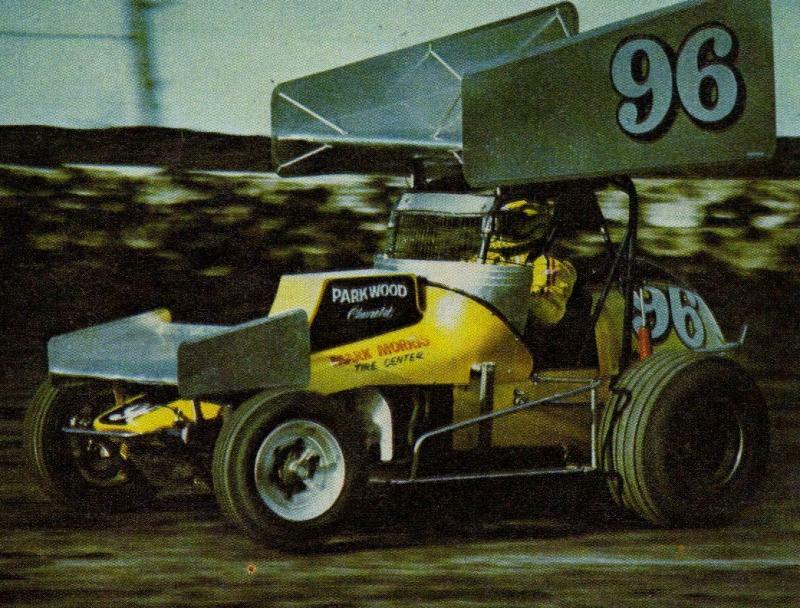 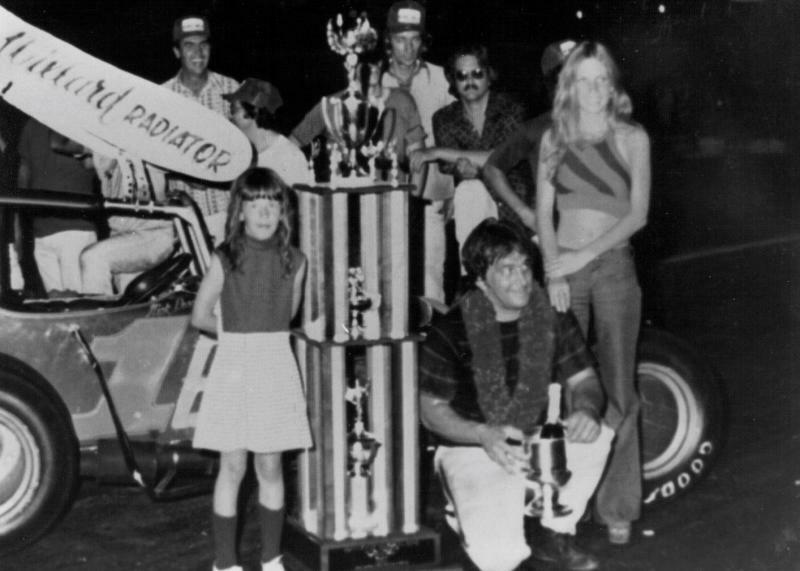 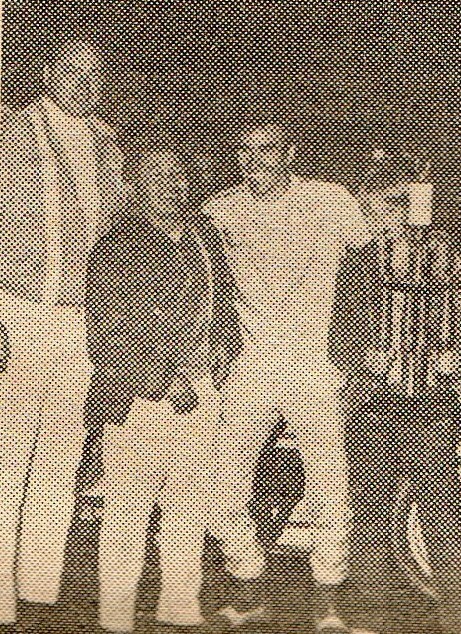 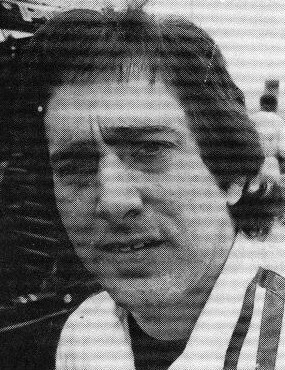 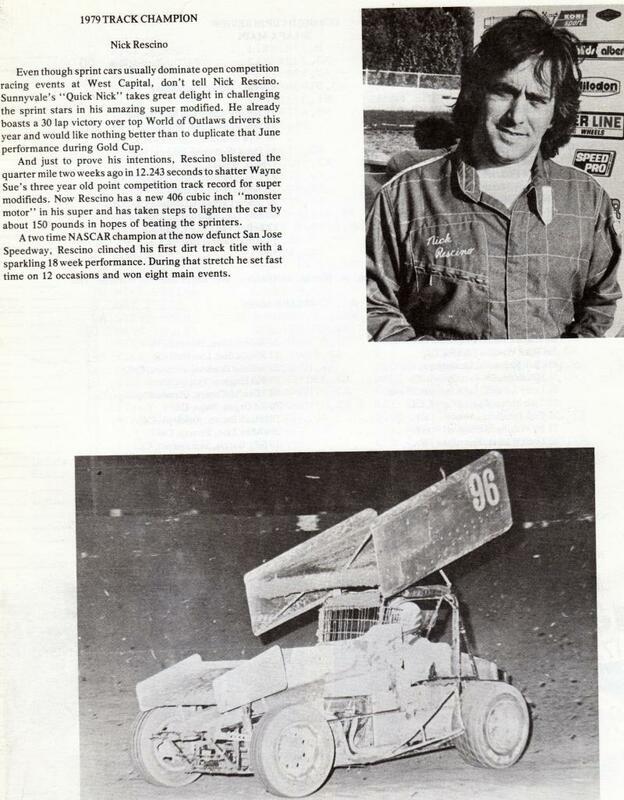 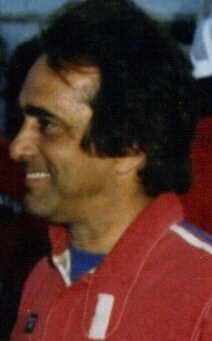 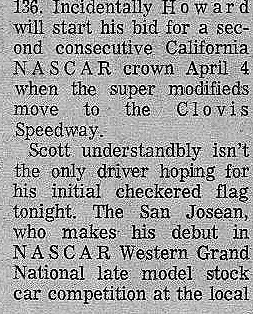 Only driver in history to win a World Of Outlaws A-Feature driving a super modified - West Capital Raceway June 8, 1979. 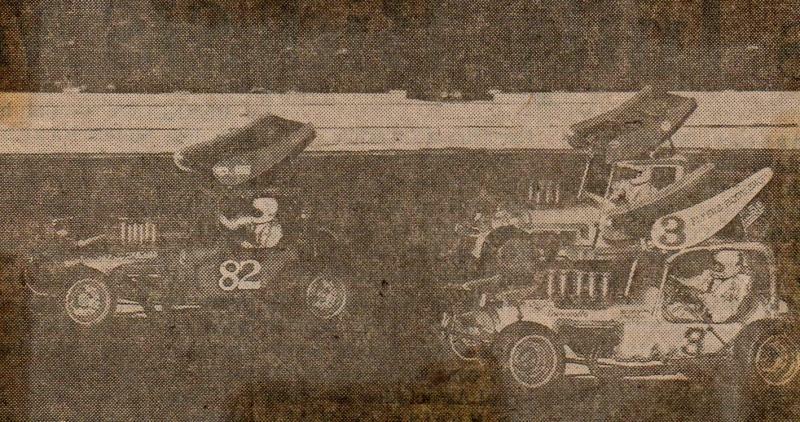 Was leading the Saturday A-Main when engine blew. 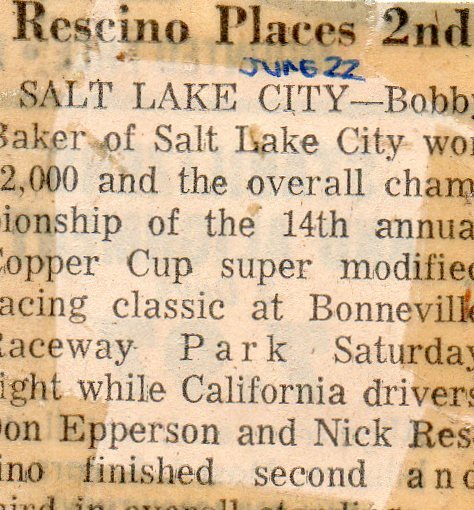 Over 200 career fastest qualiyfing times at 17 different tracks. 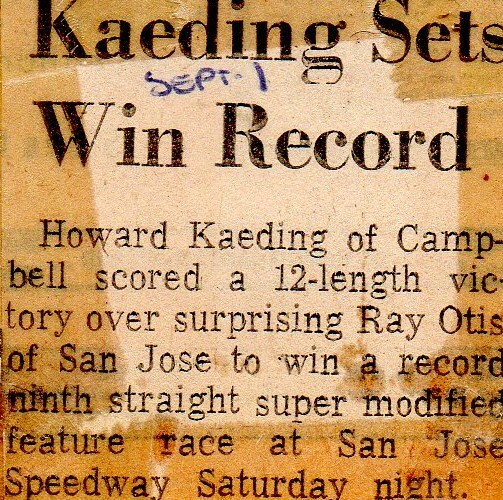 Set new track records at 9 tracks. 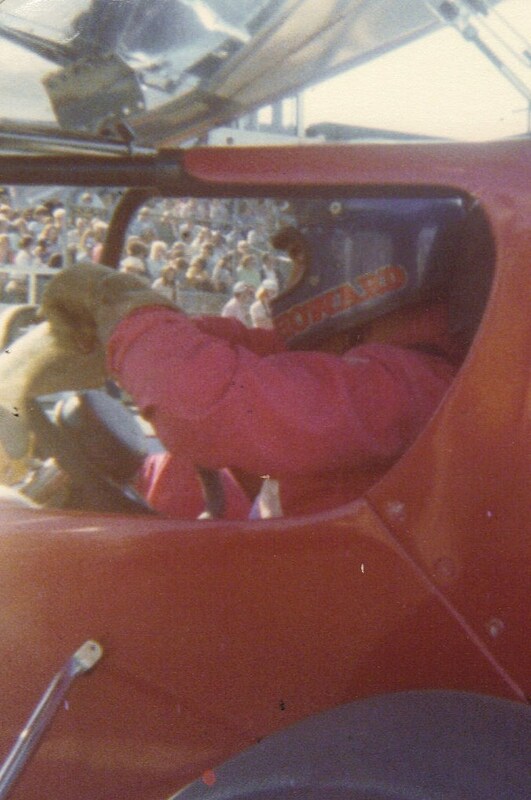 Someday dad, I wanna be a race car driver !